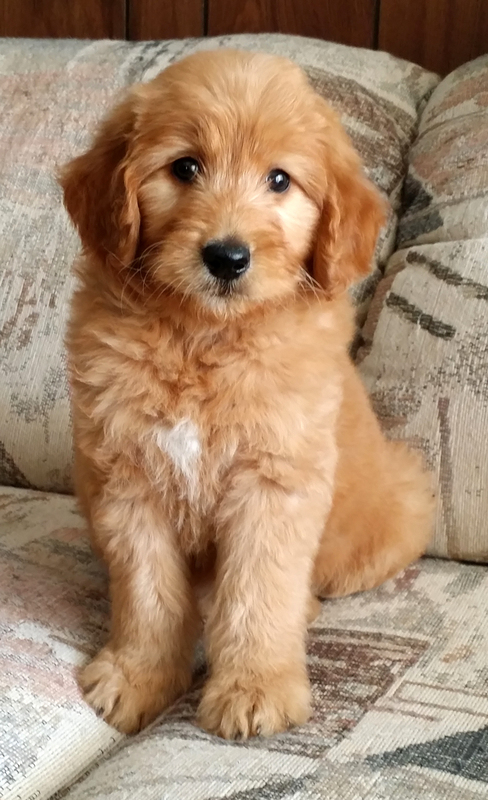 Nova has an exceptional coat. 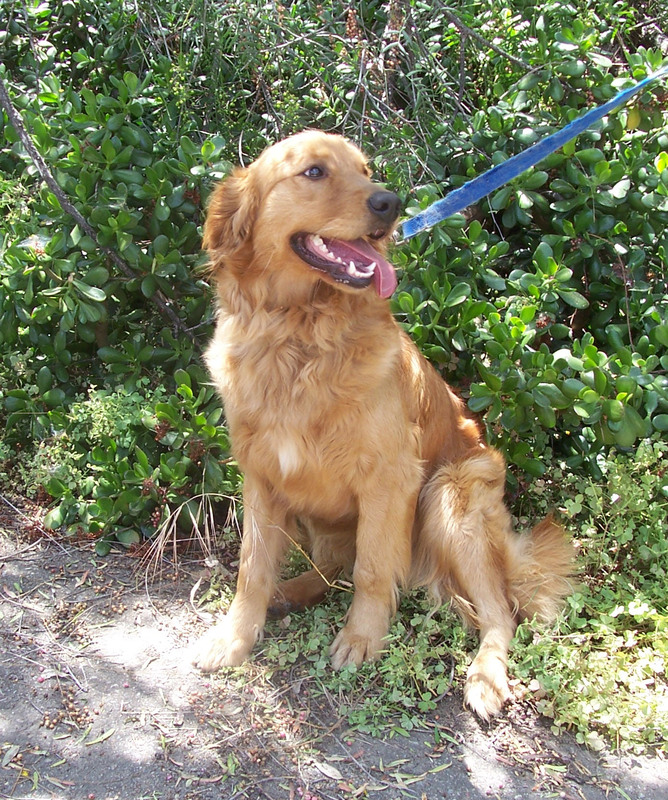 She has a sweet and affectionate disposition and love to play. 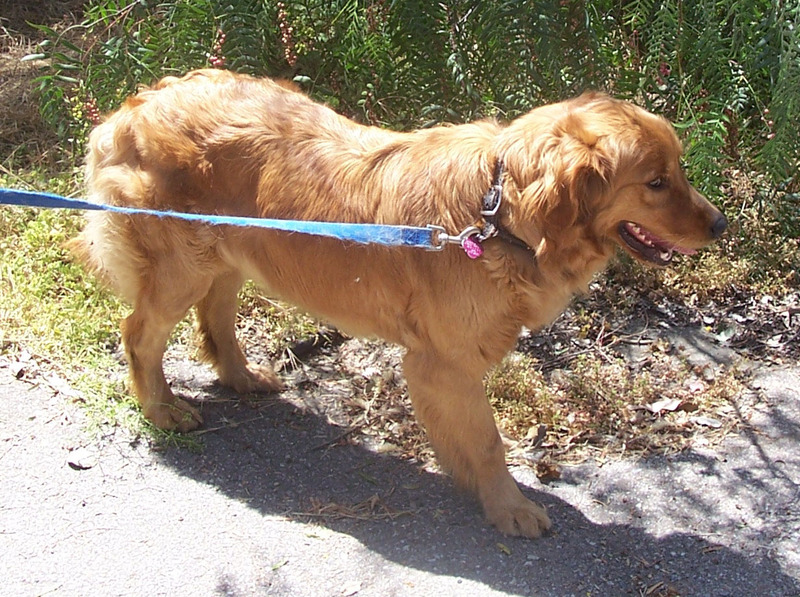 She is the first to jump for the leash to go for walks and loves nothing more than to be next to her humans. 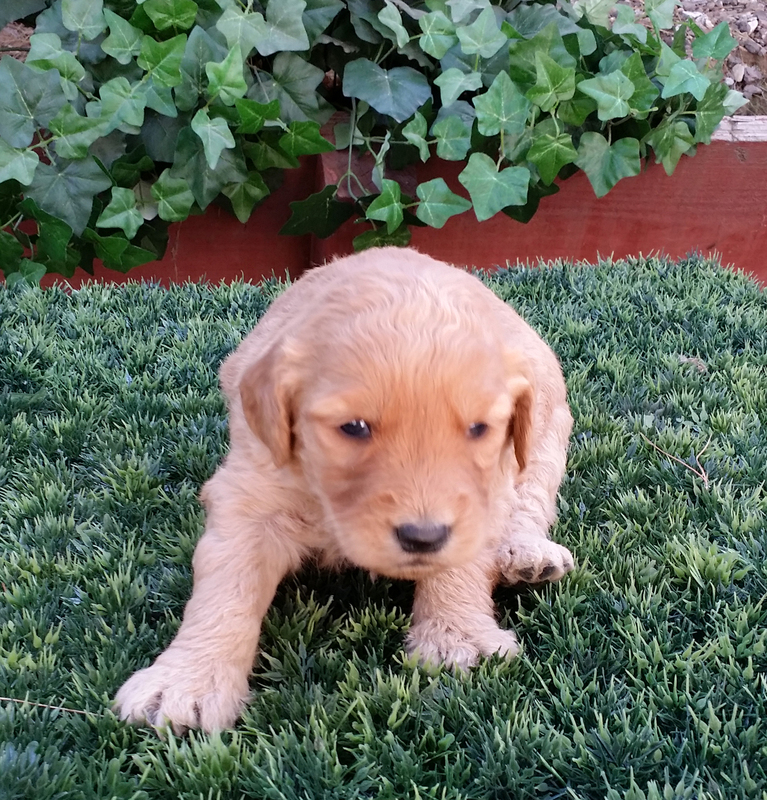 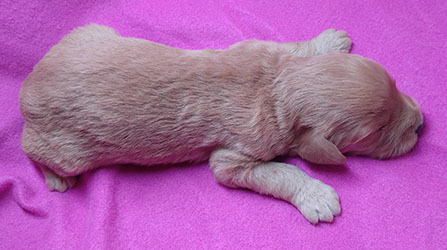 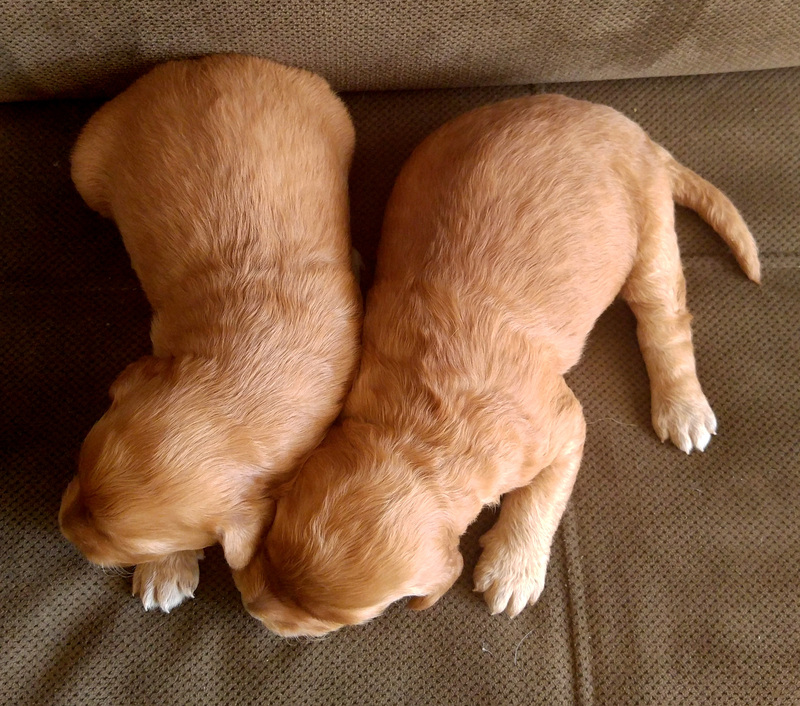 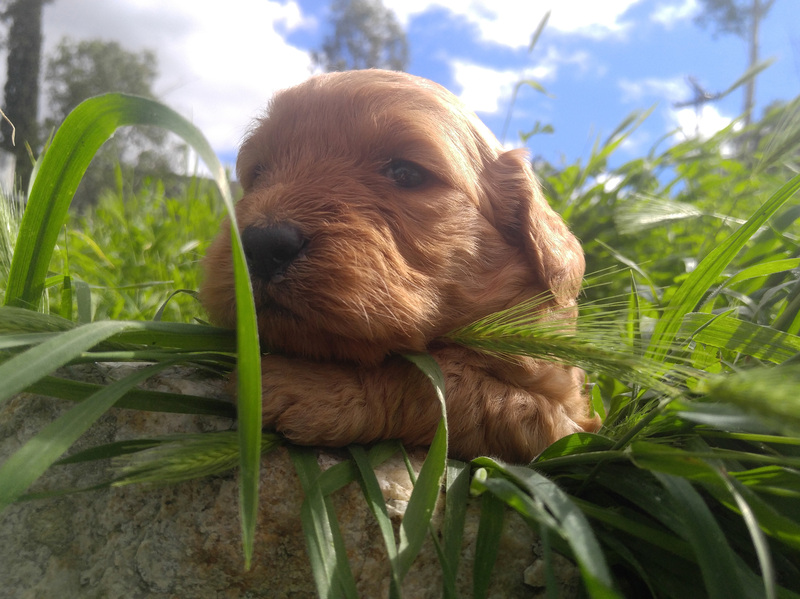 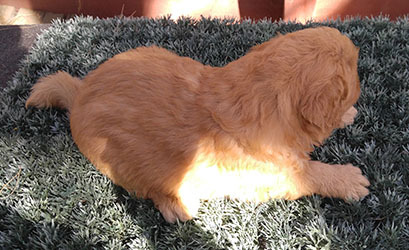 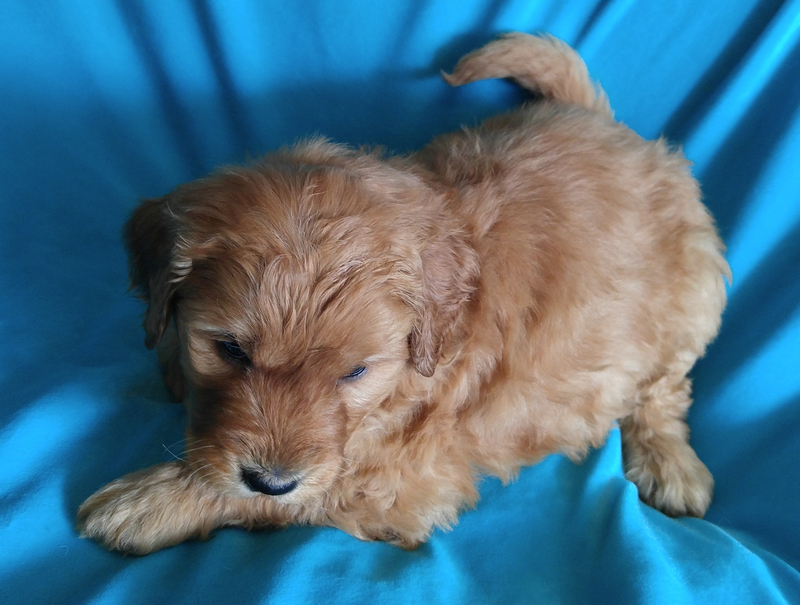 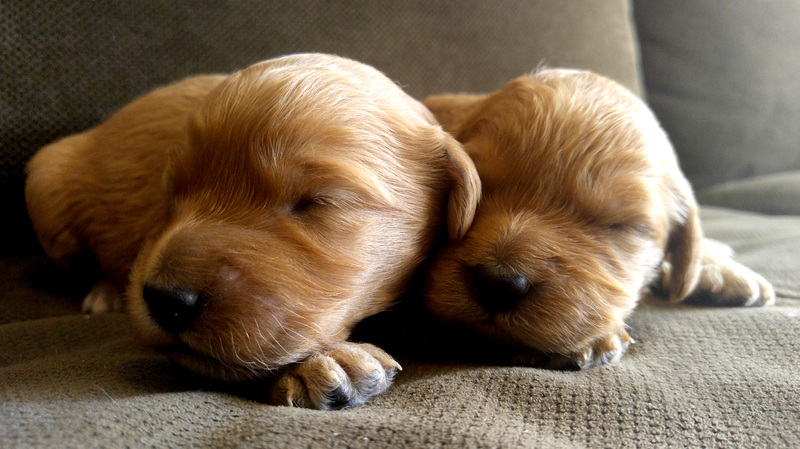 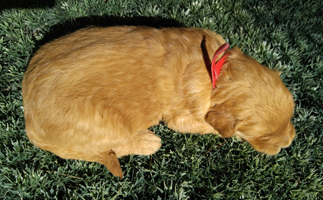 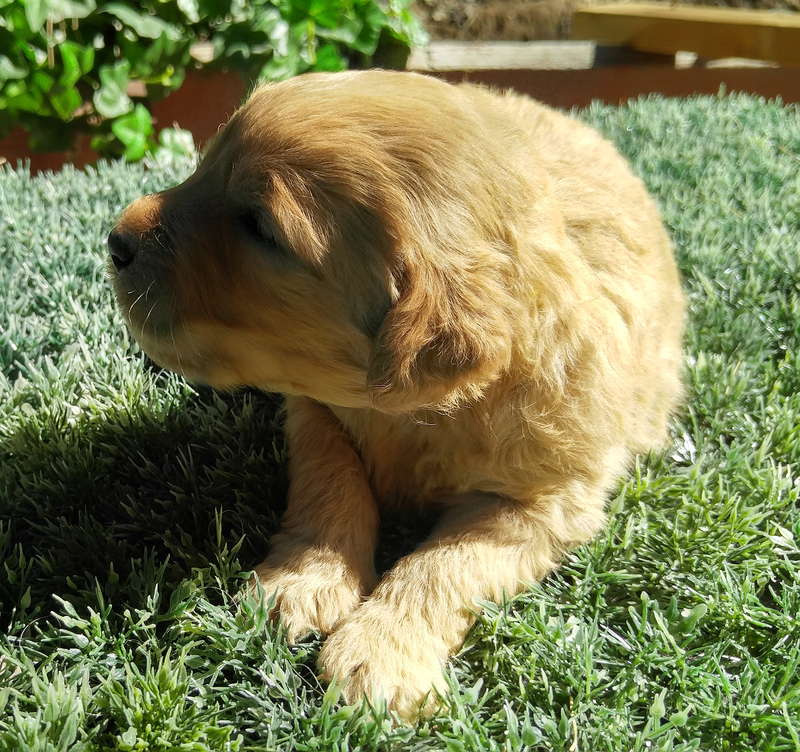 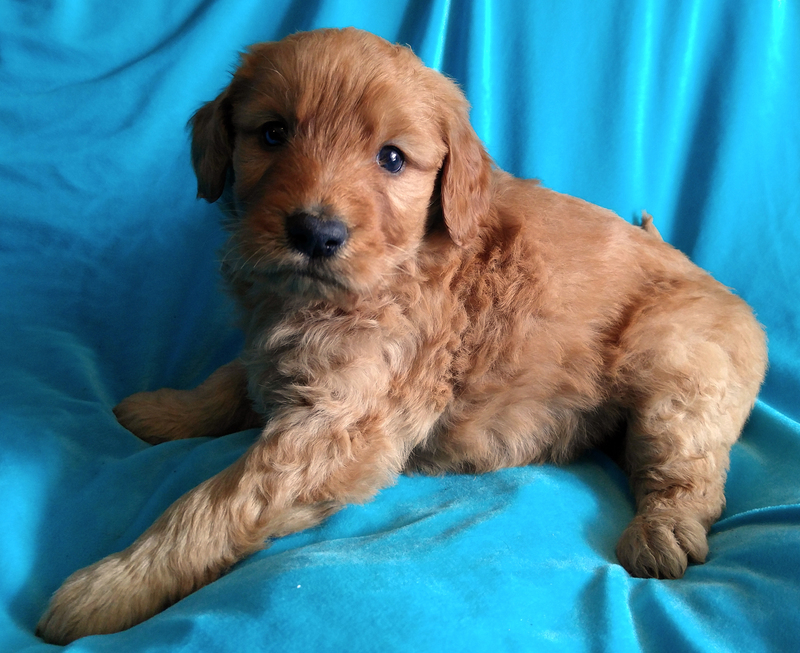 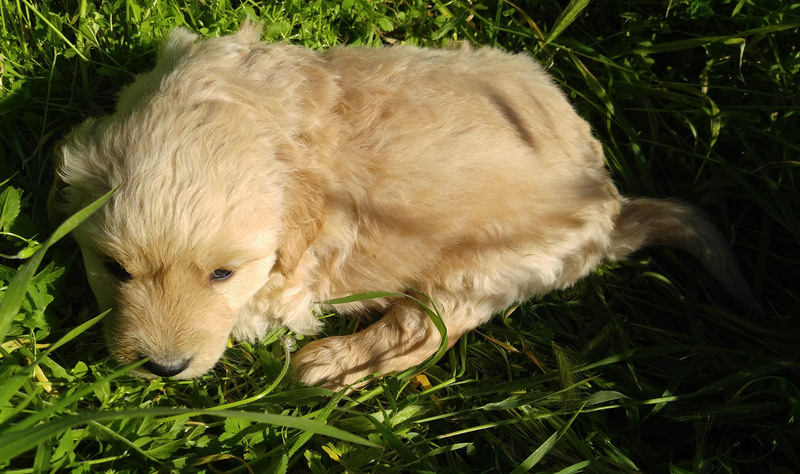 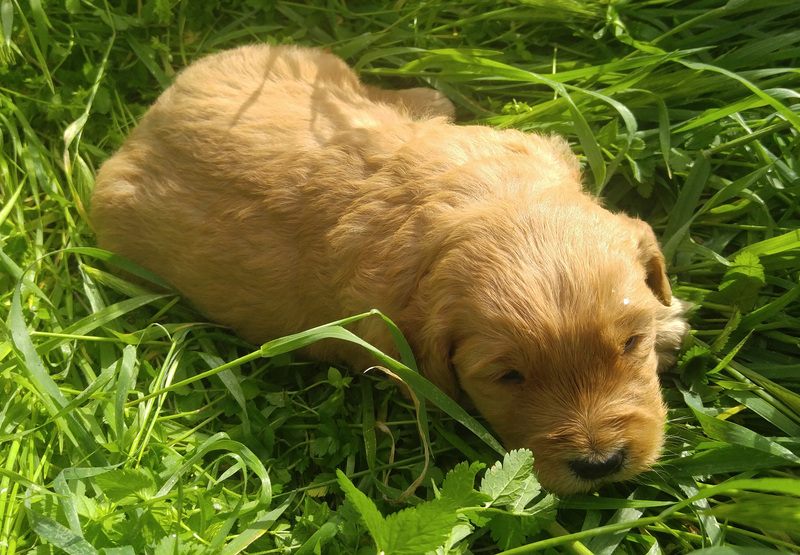 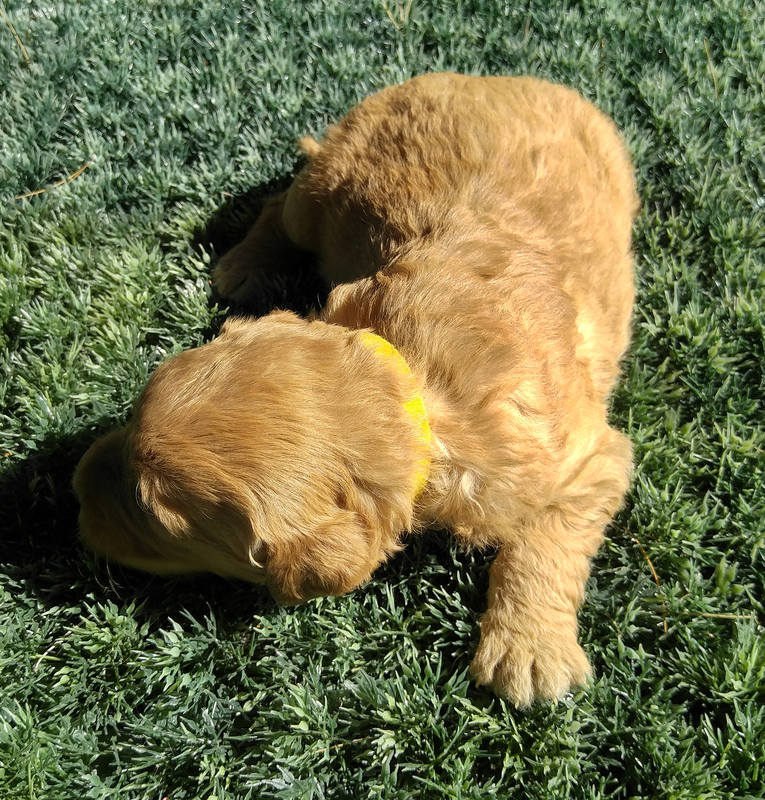 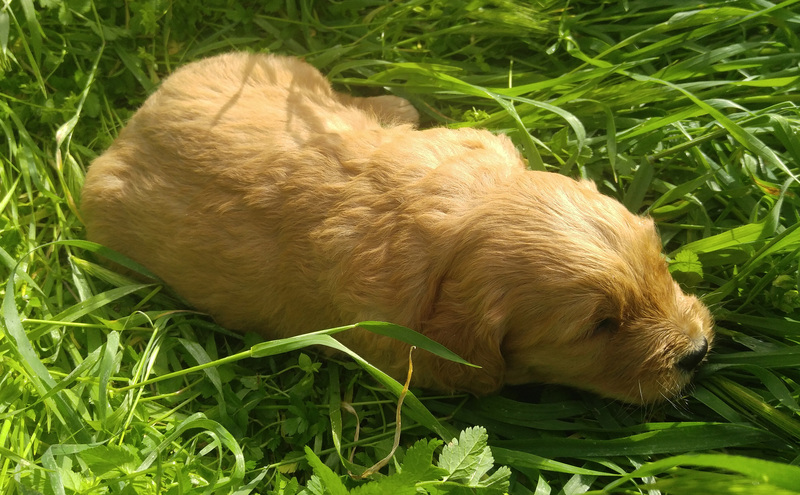 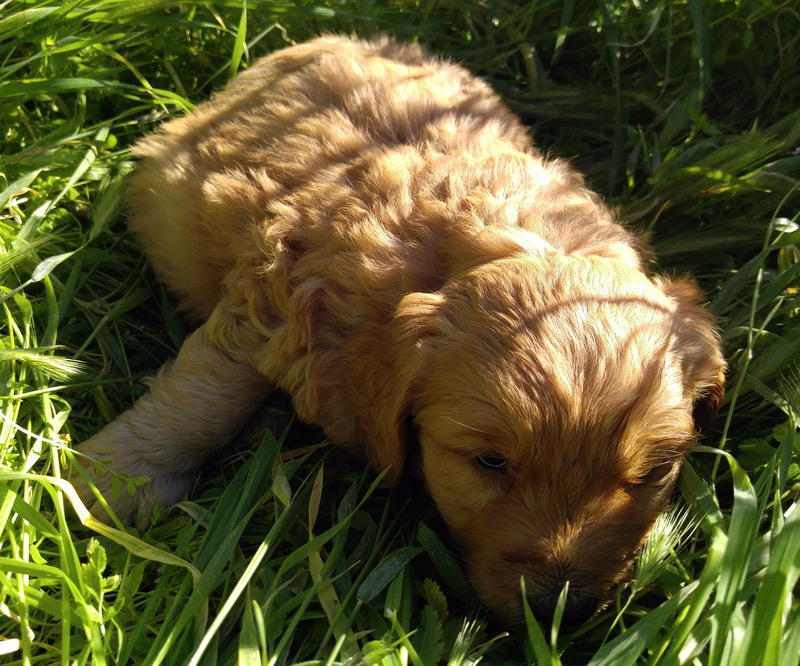 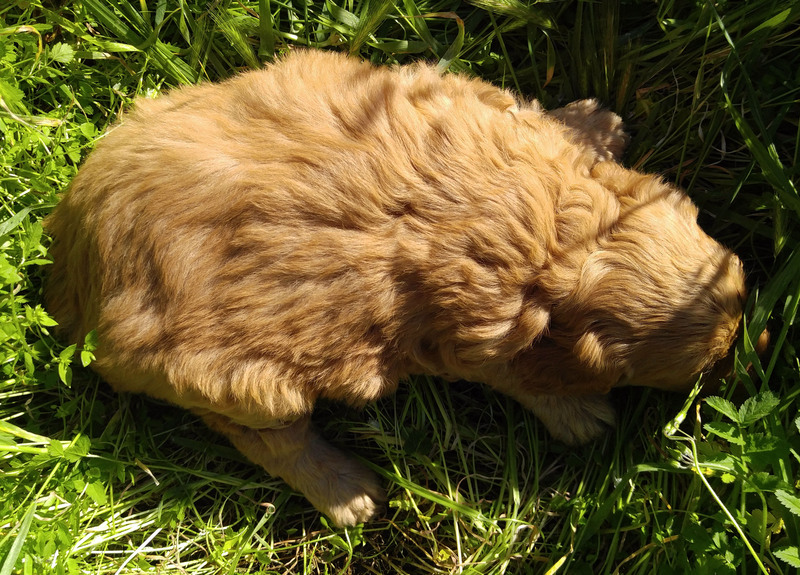 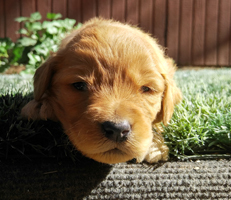 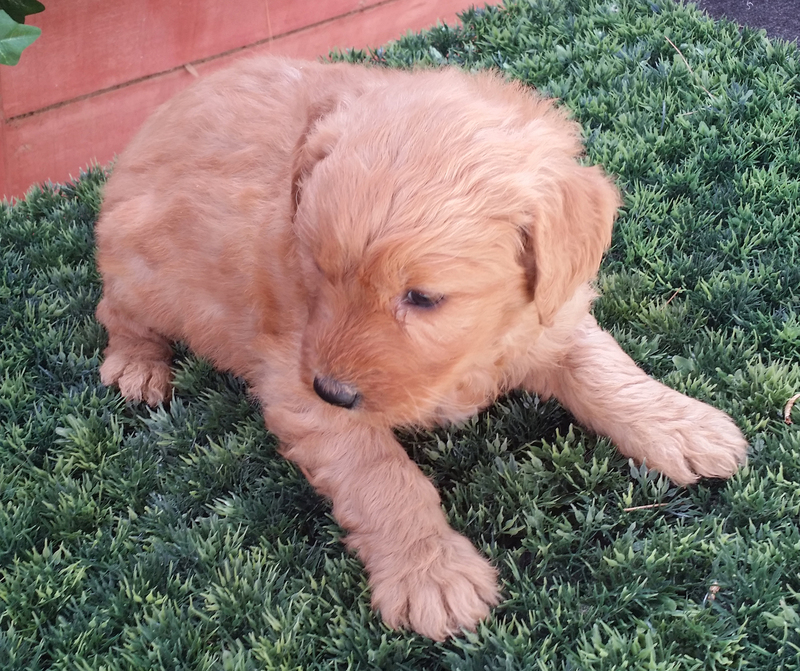 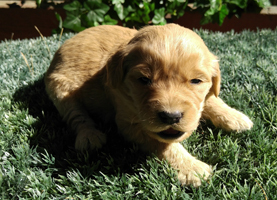 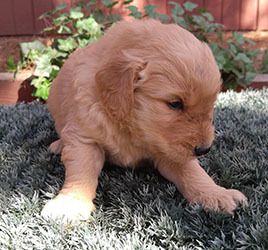 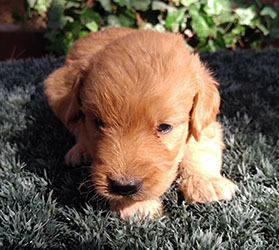 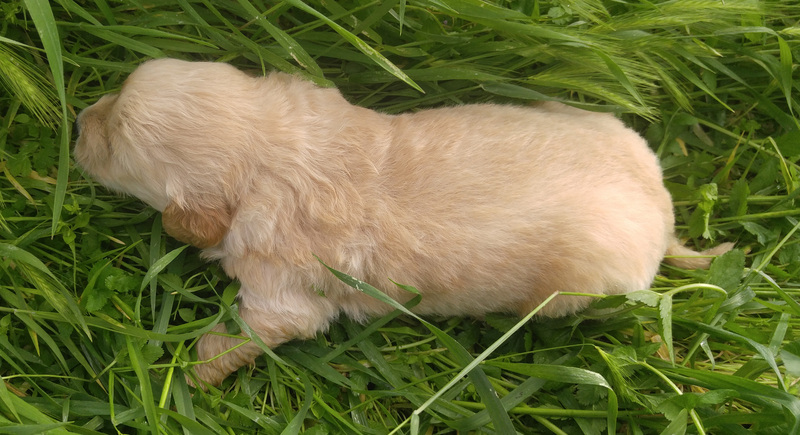 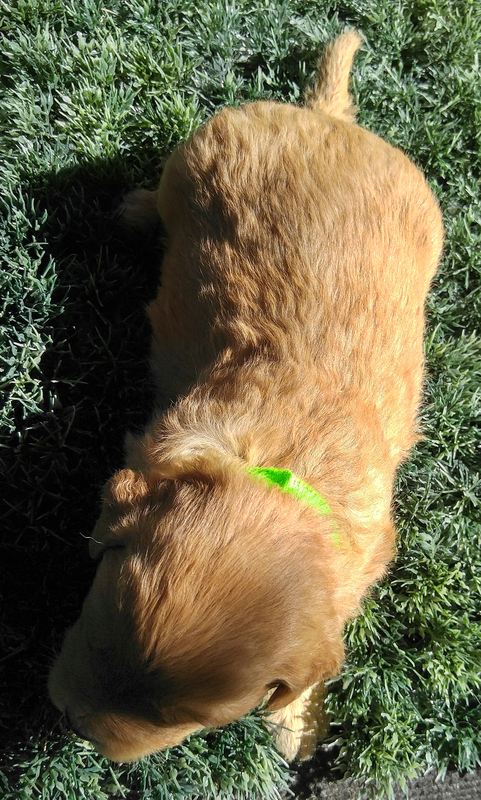 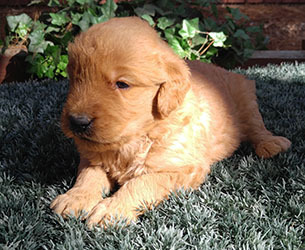 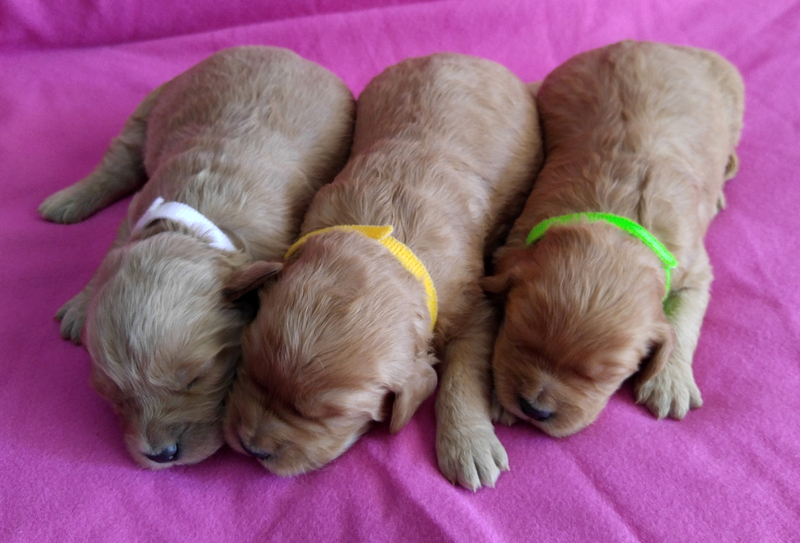 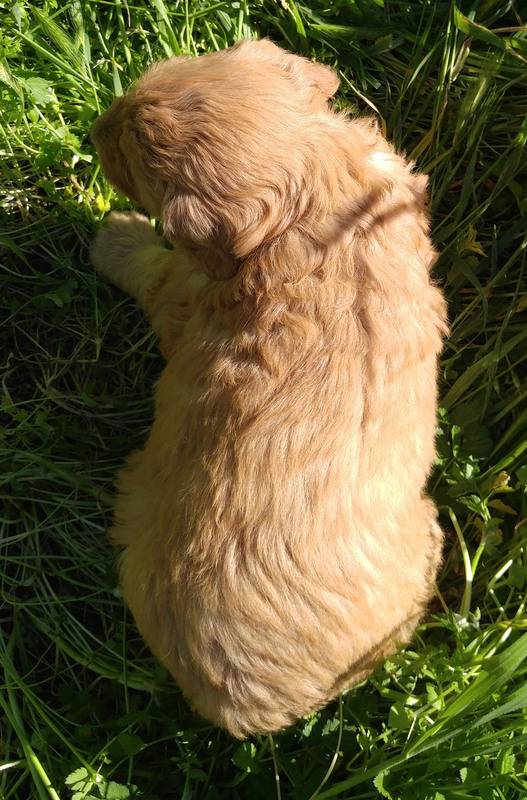 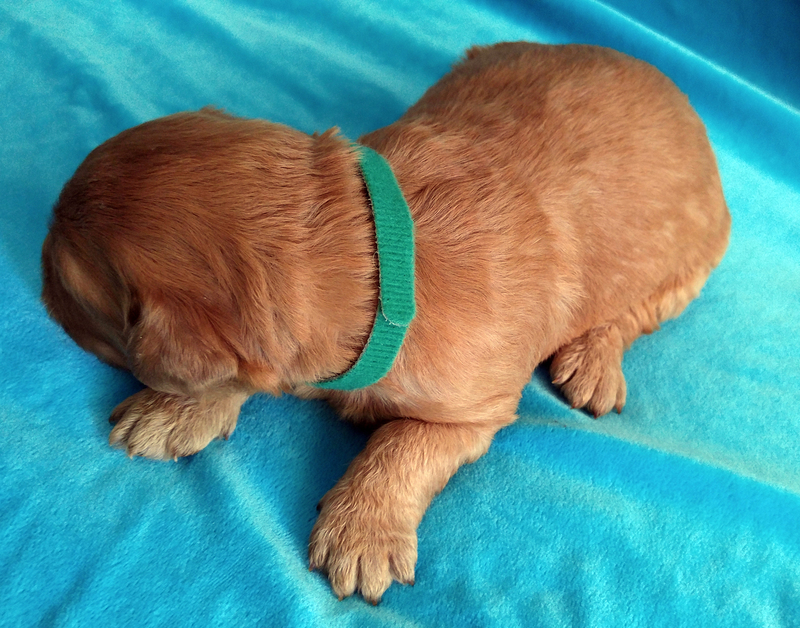 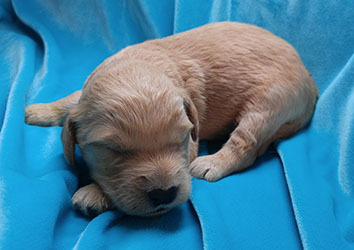 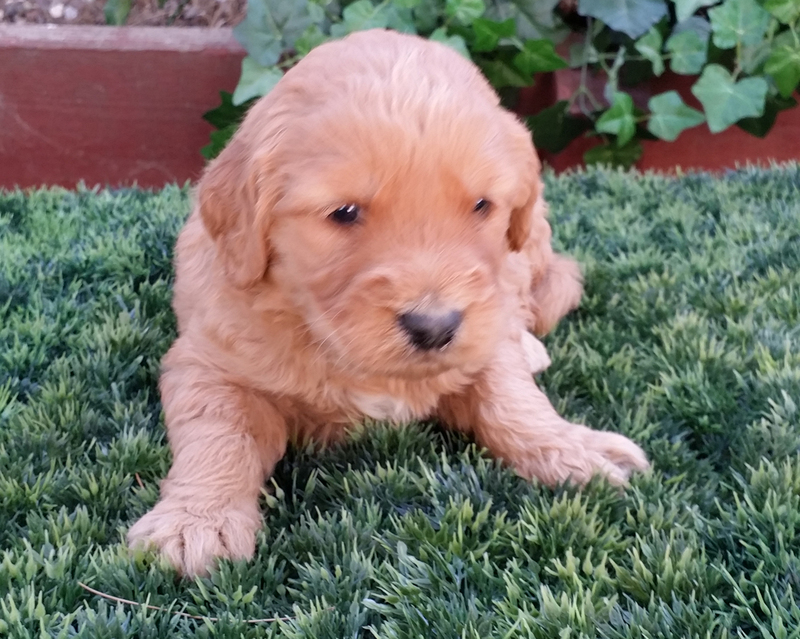 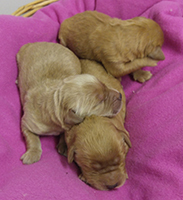 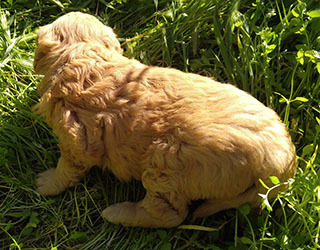 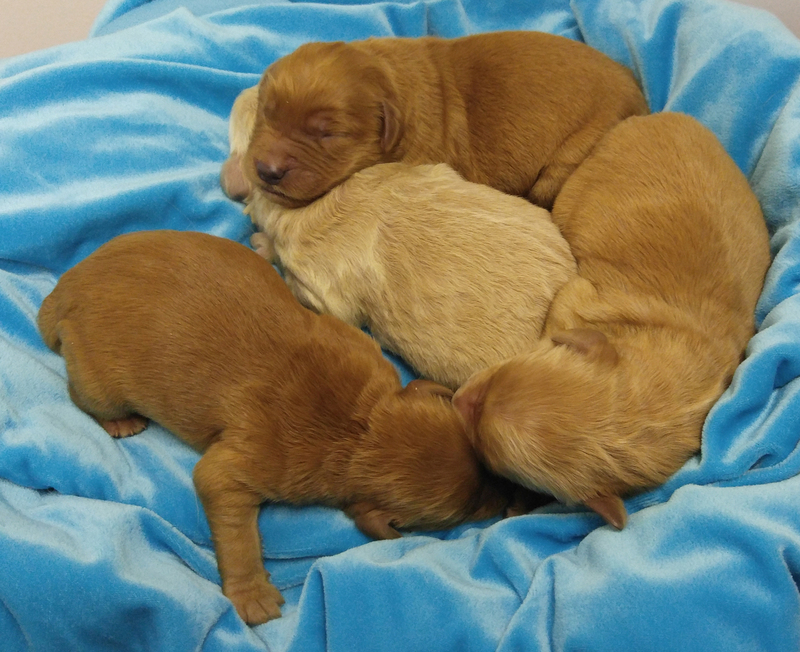 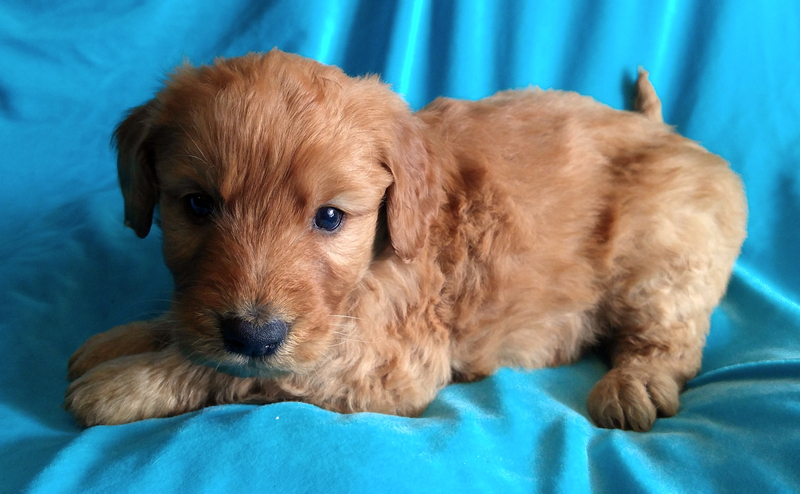 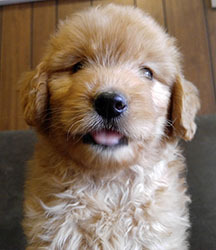 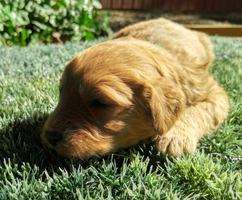 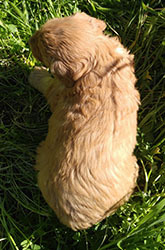 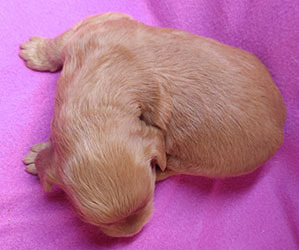 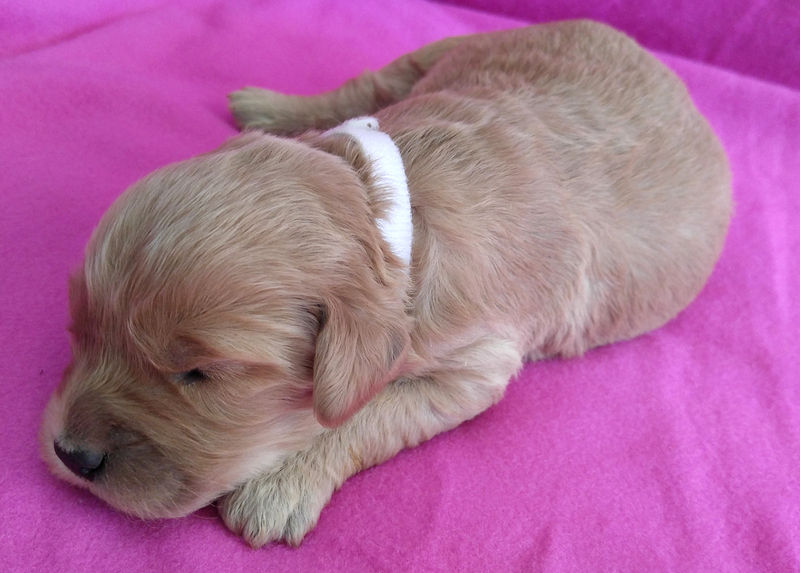 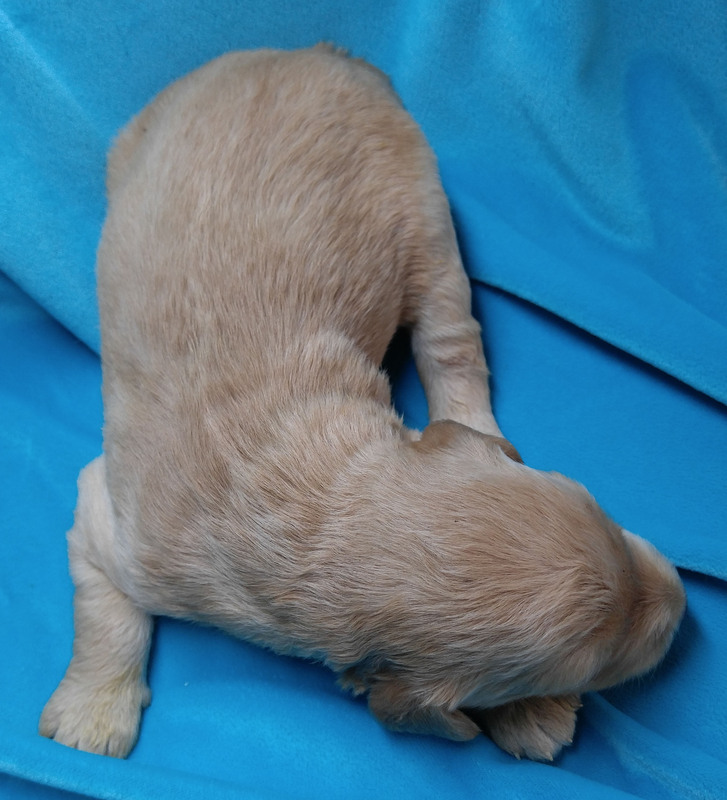 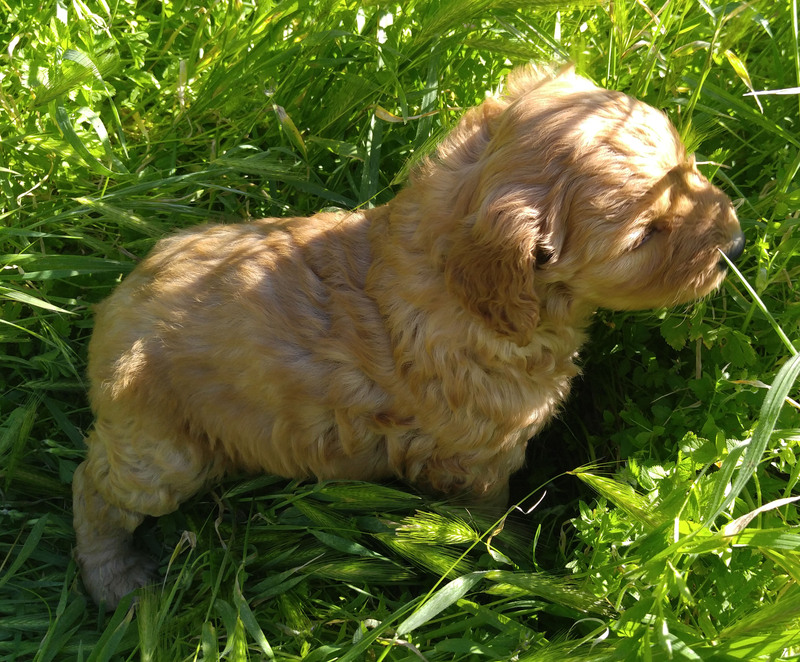 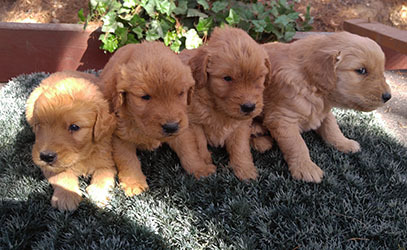 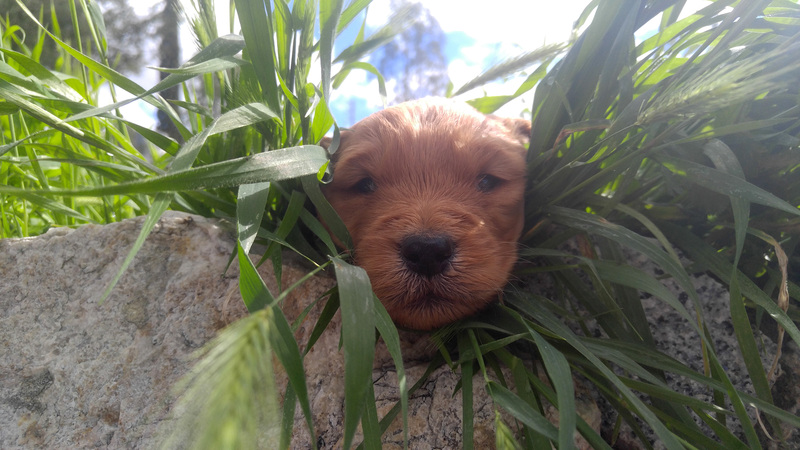 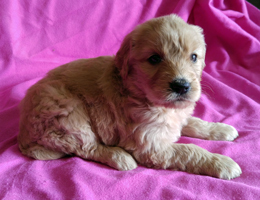 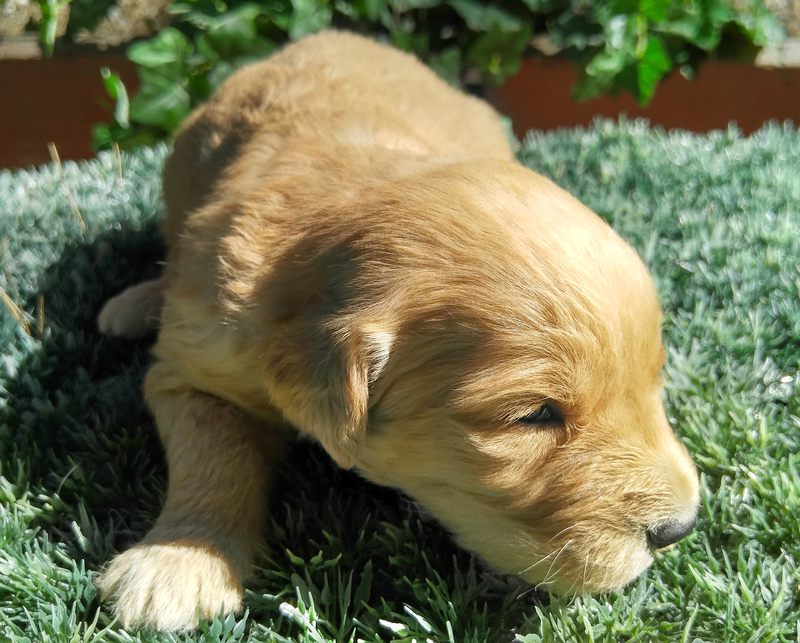 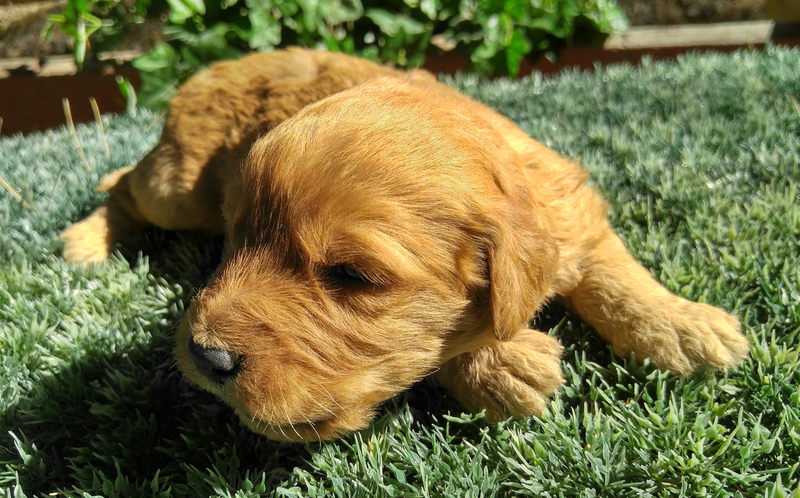 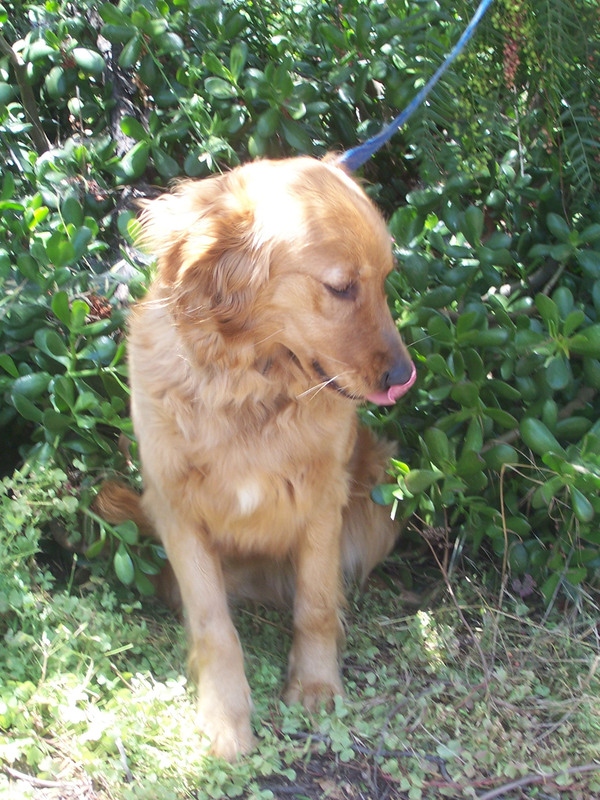 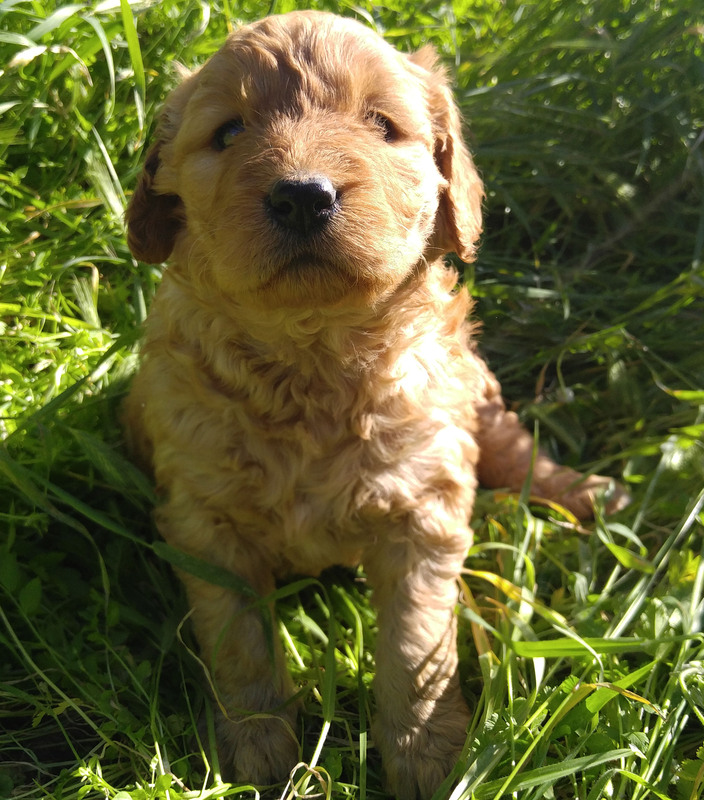 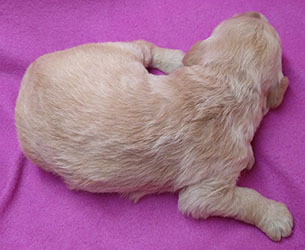 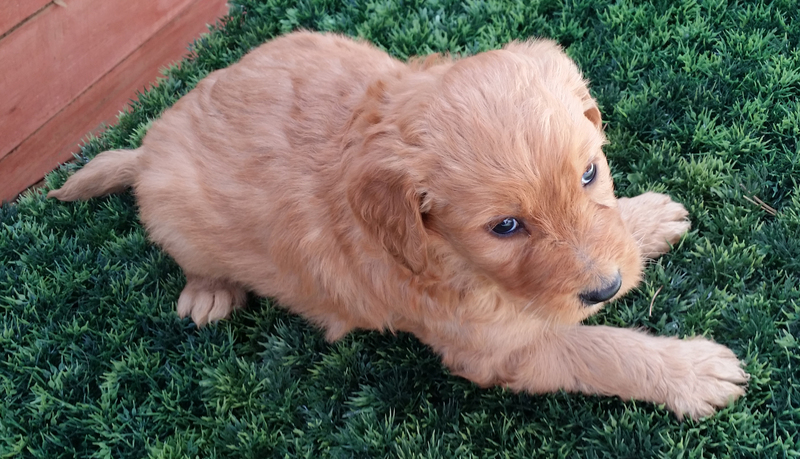 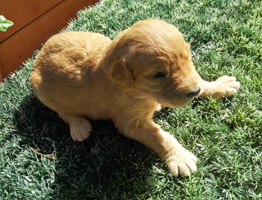 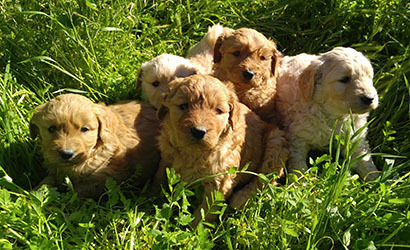 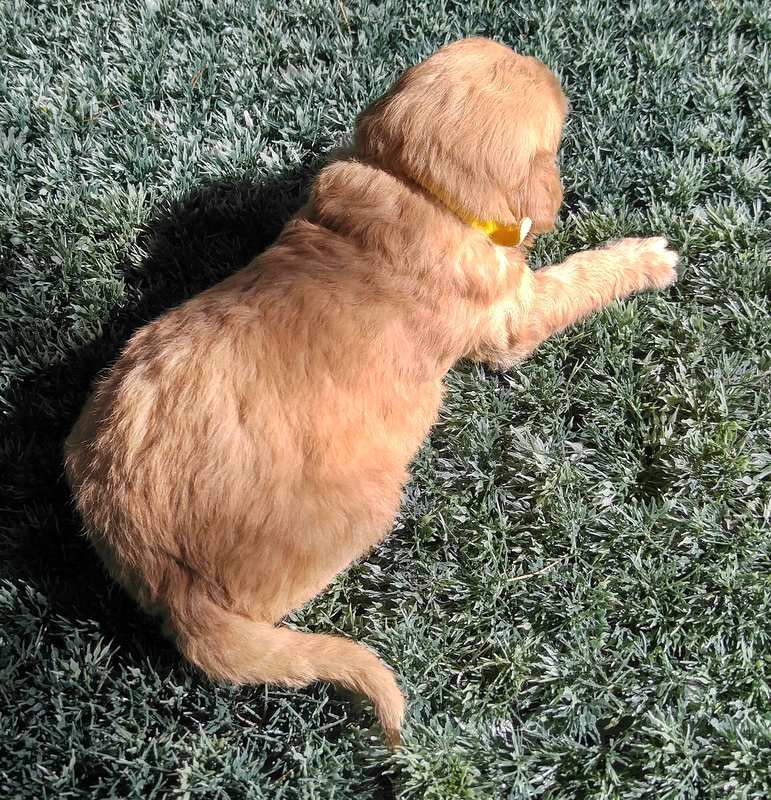 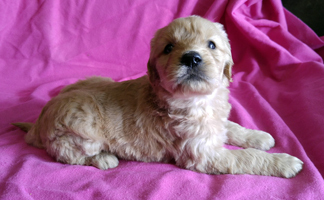 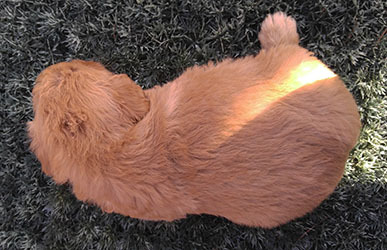 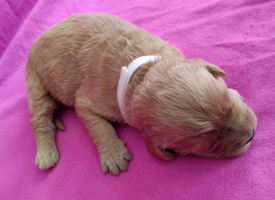 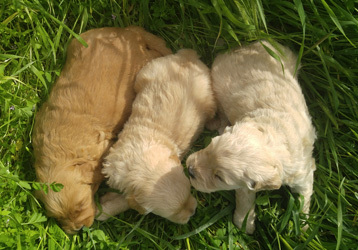 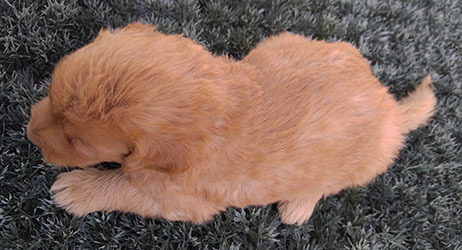 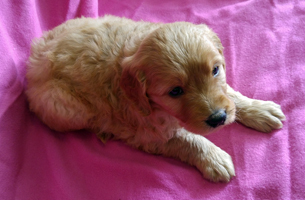 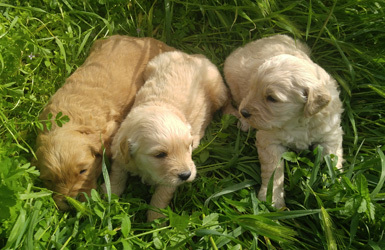 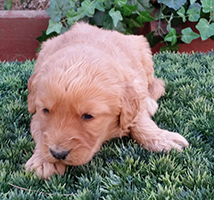 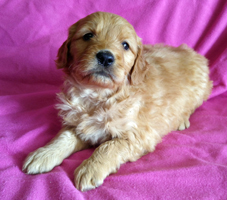 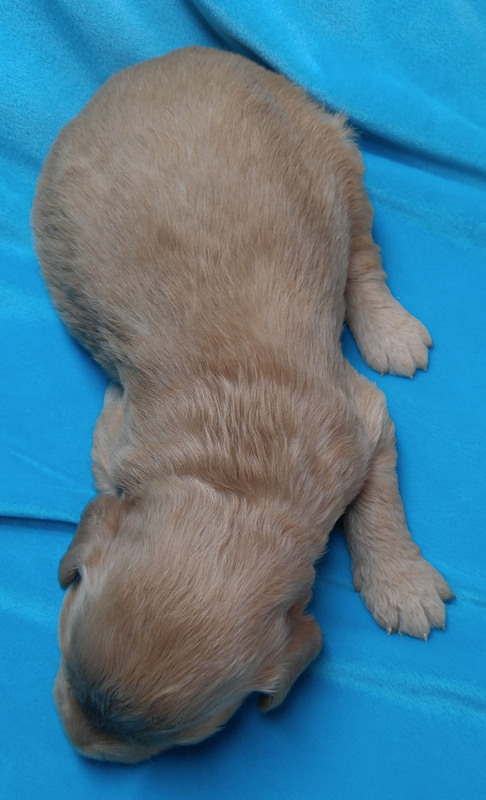 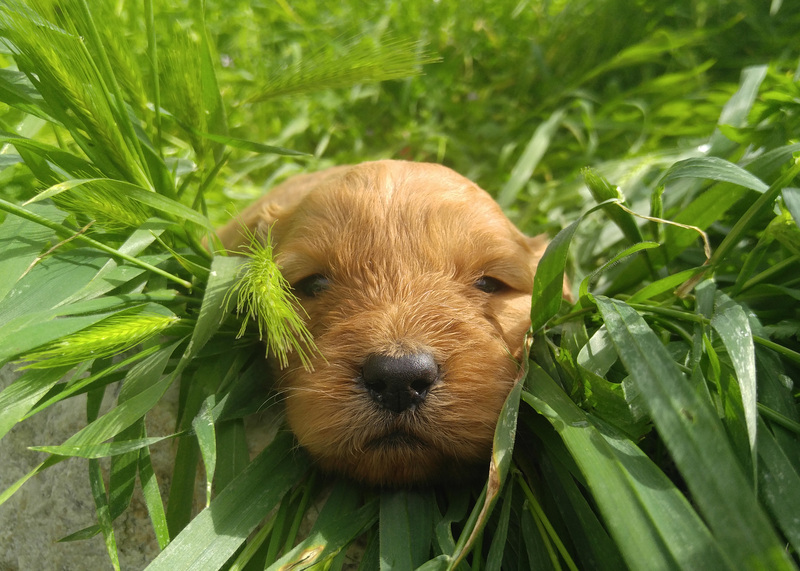 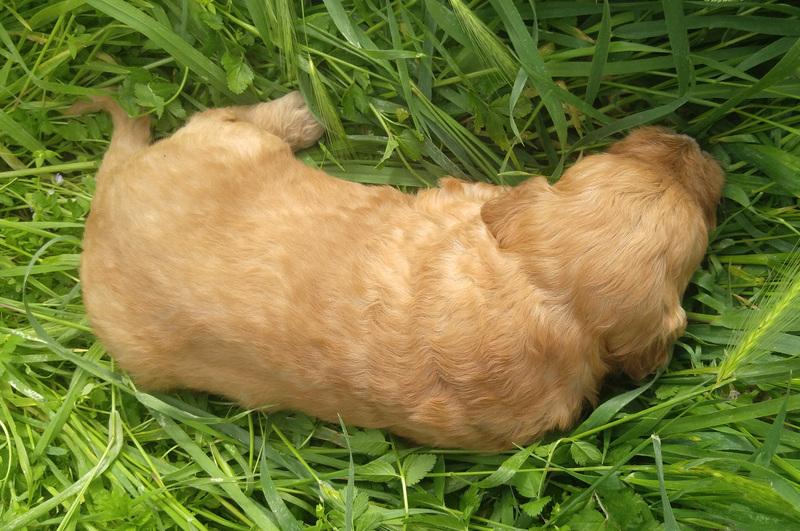 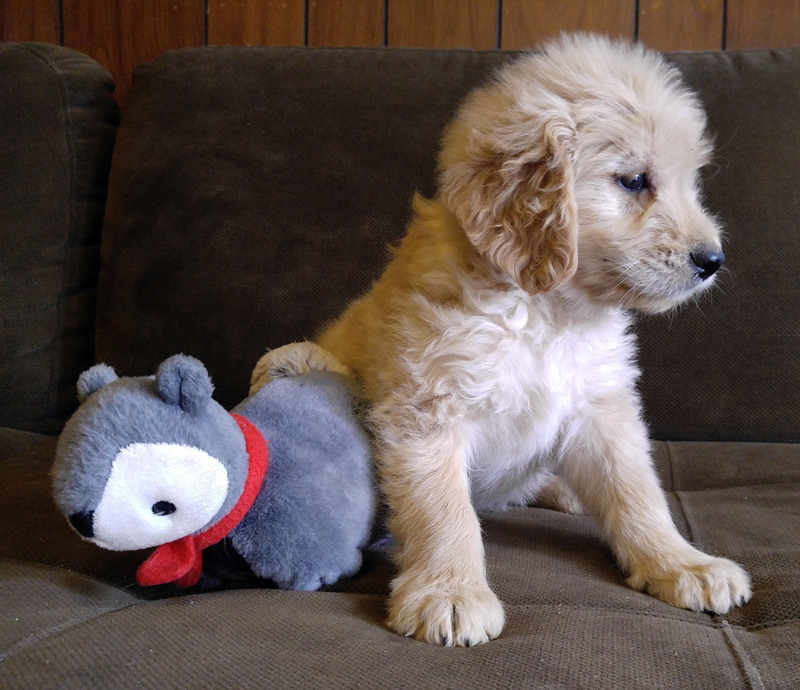 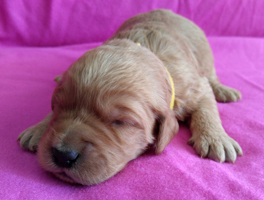 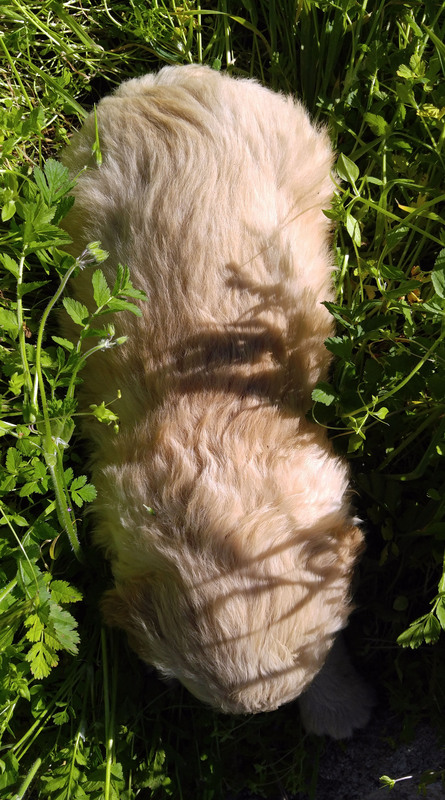 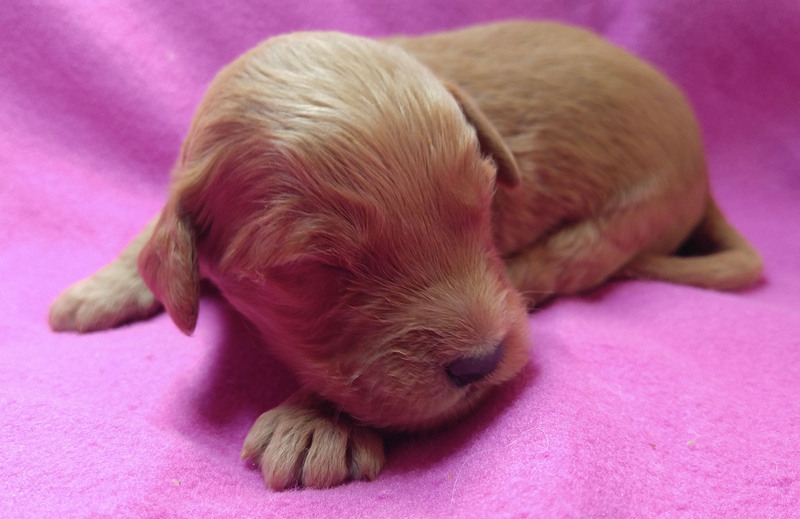 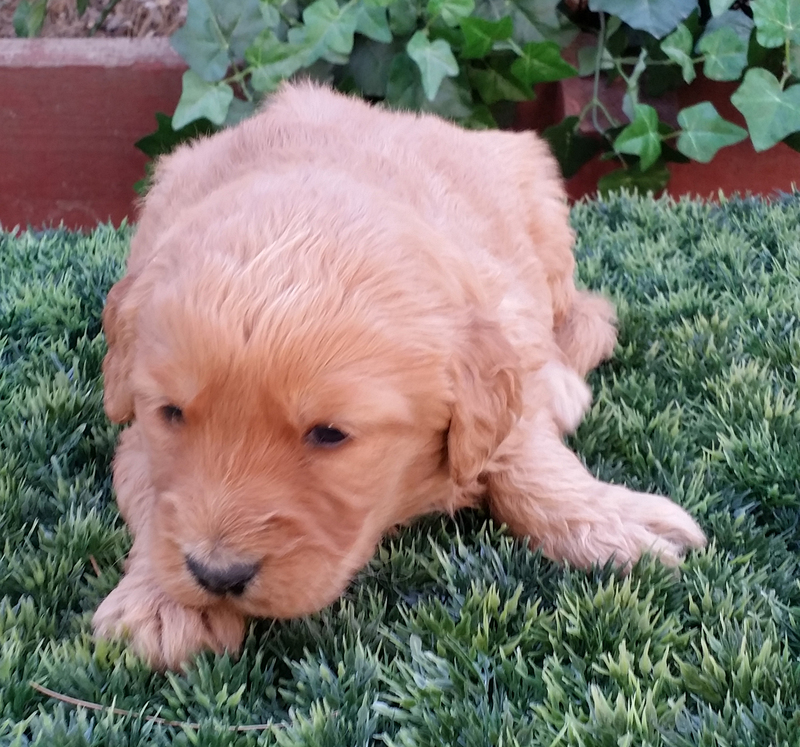 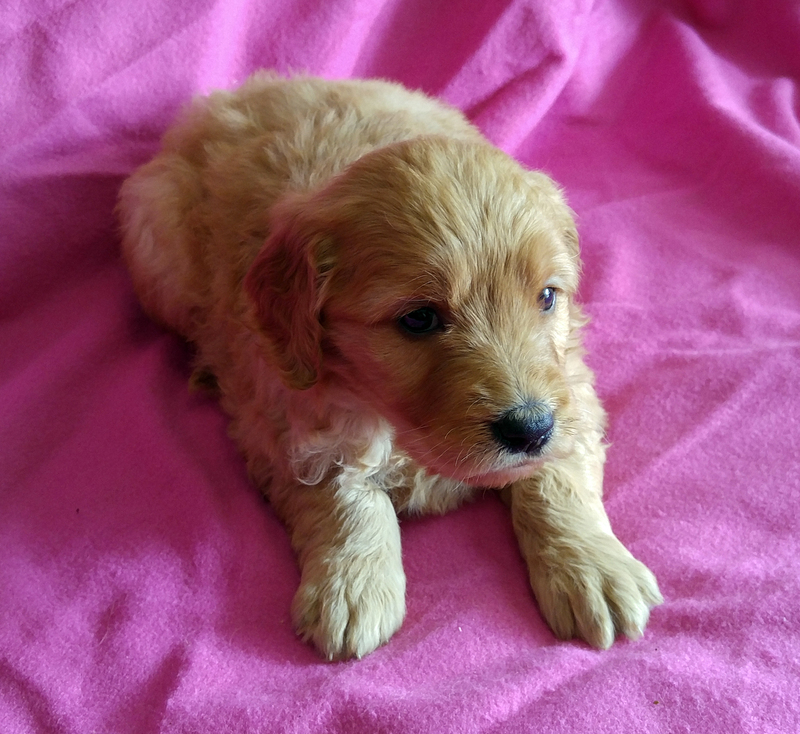 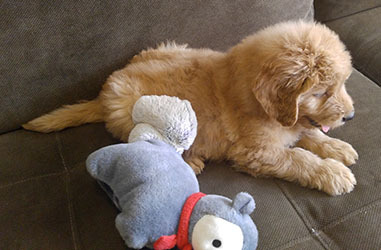 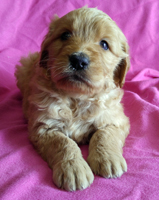 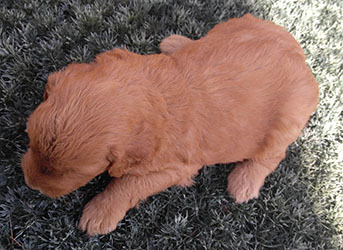 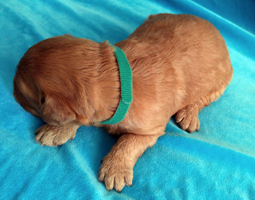 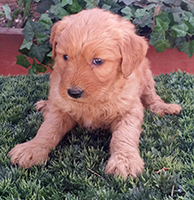 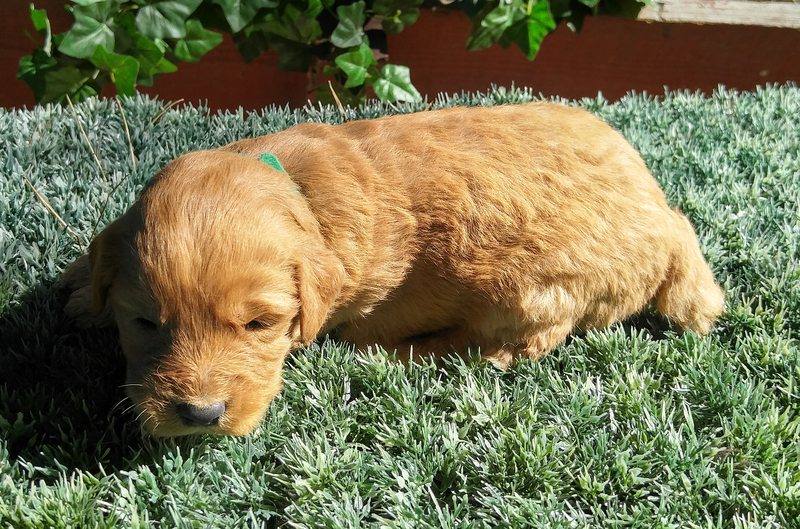 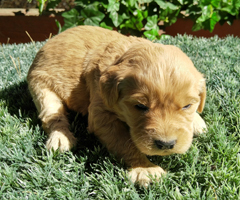 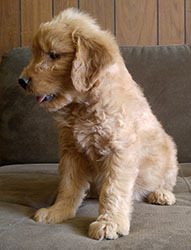 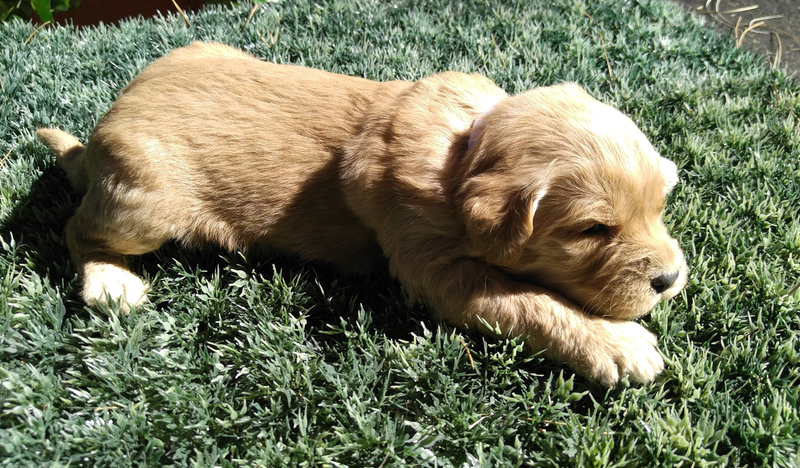 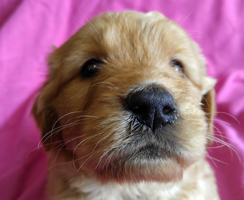 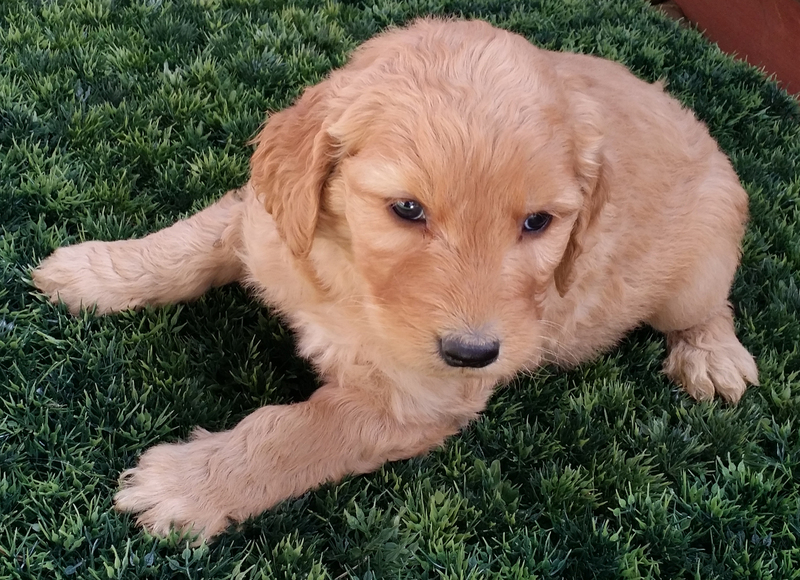 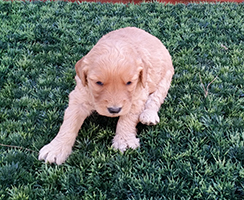 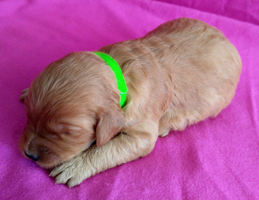 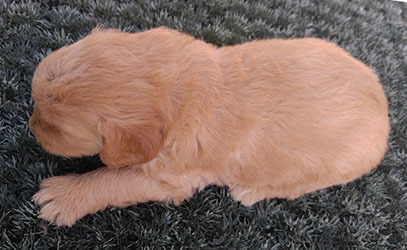 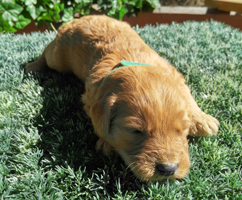 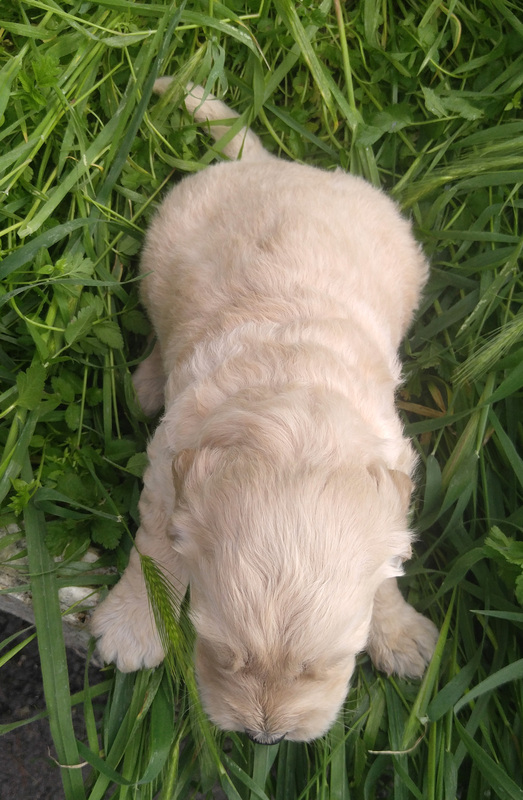 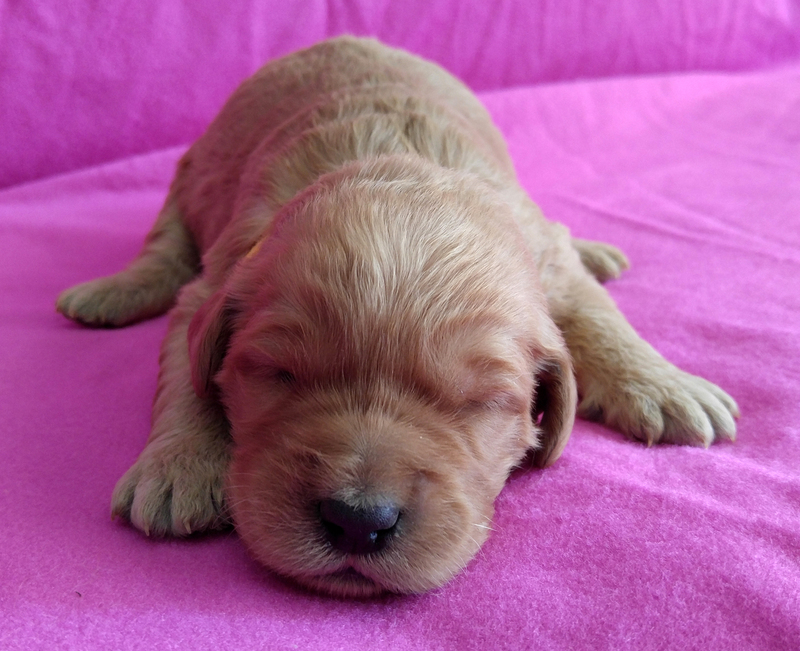 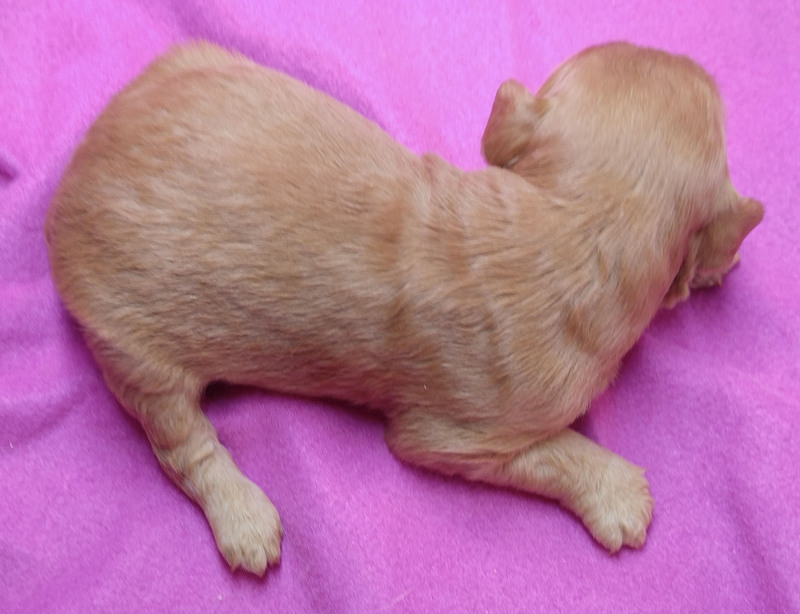 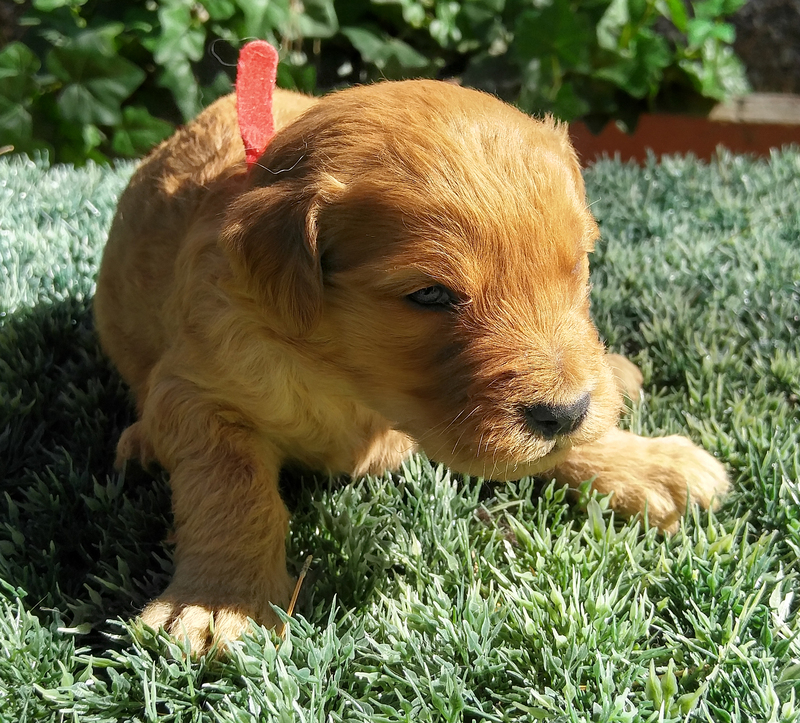 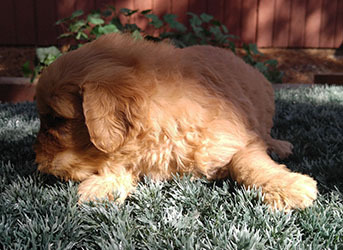 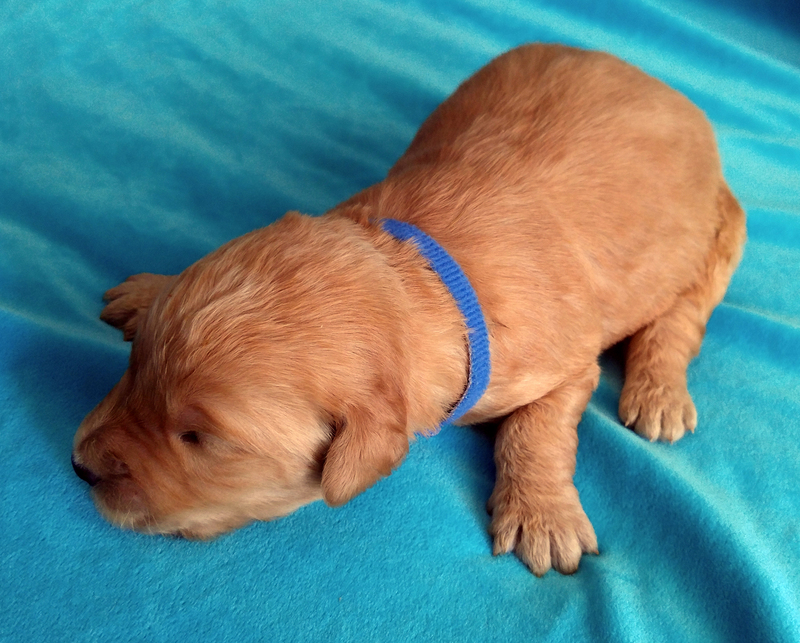 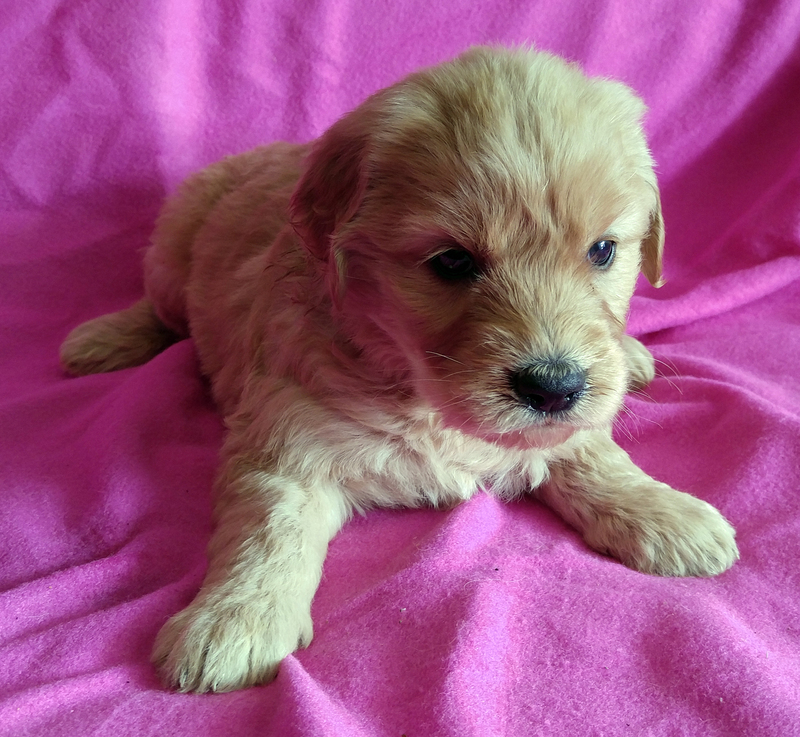 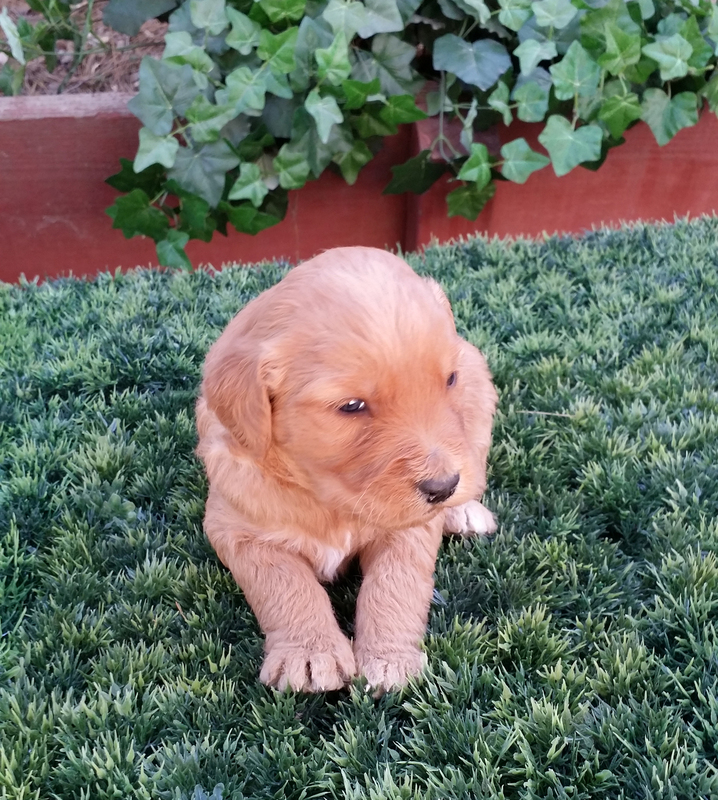 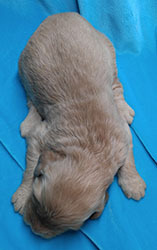 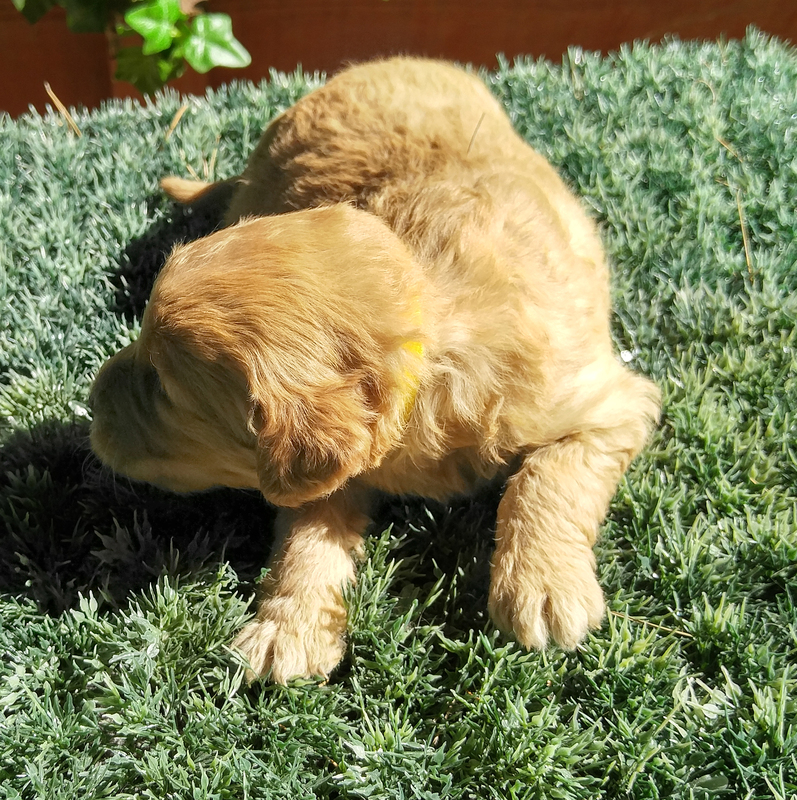 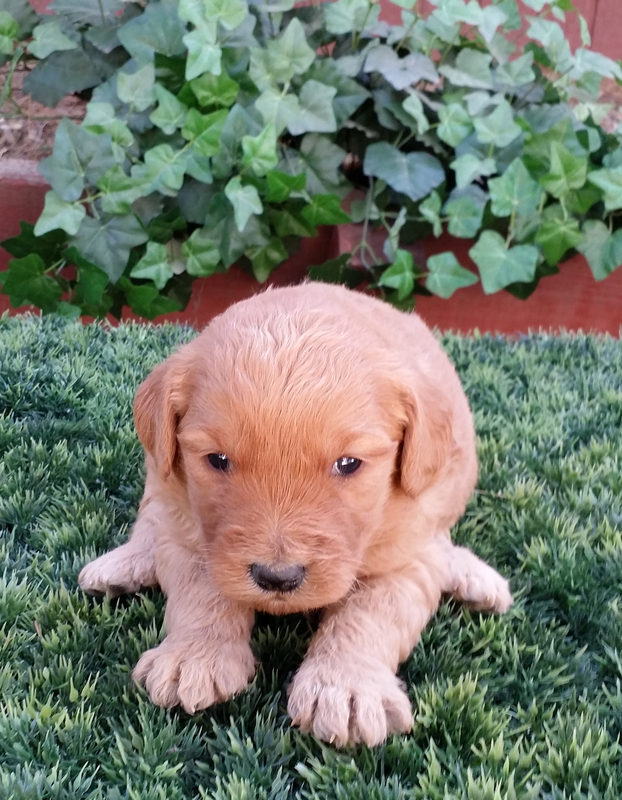 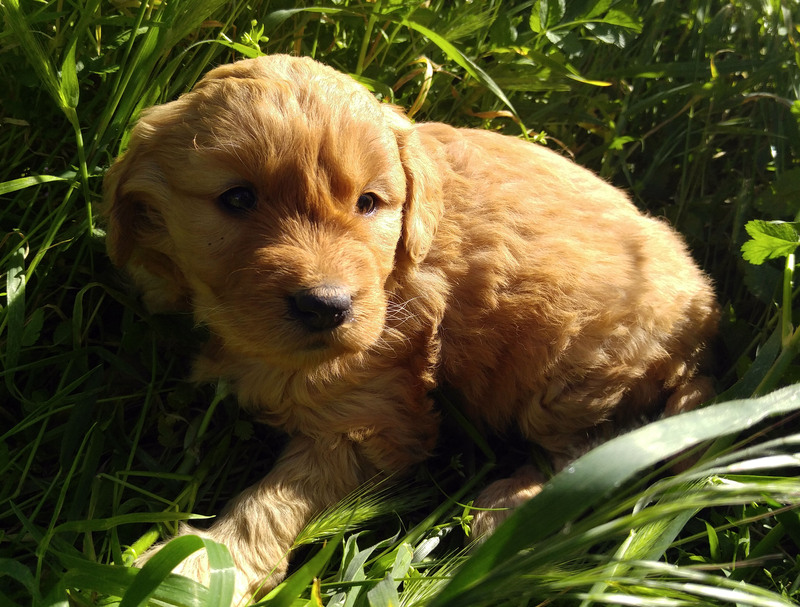 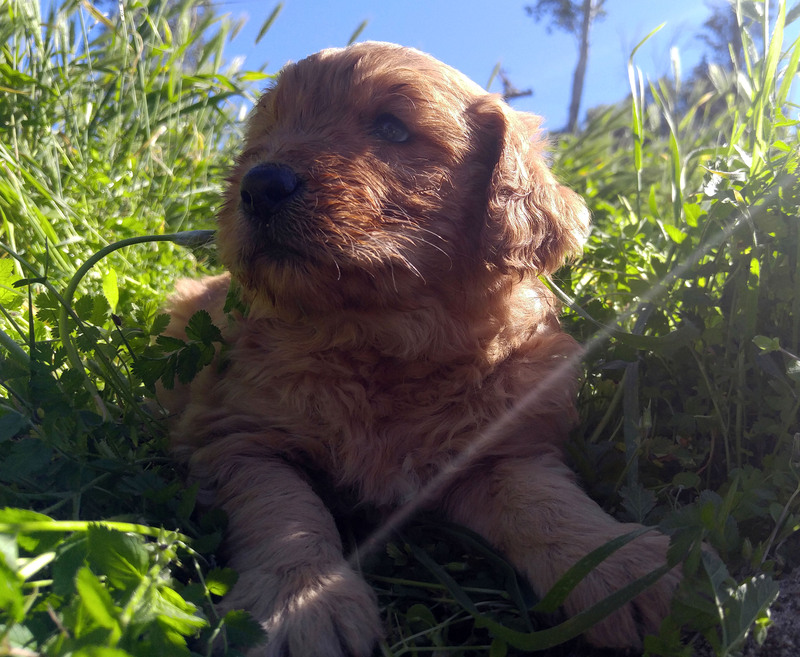 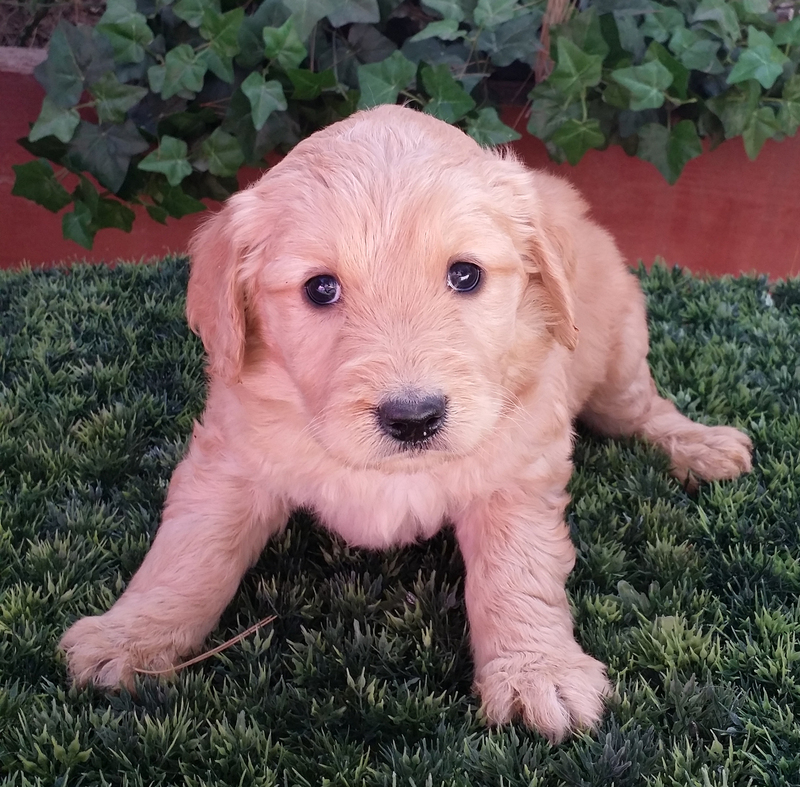 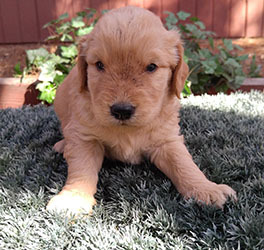 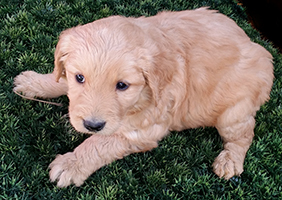 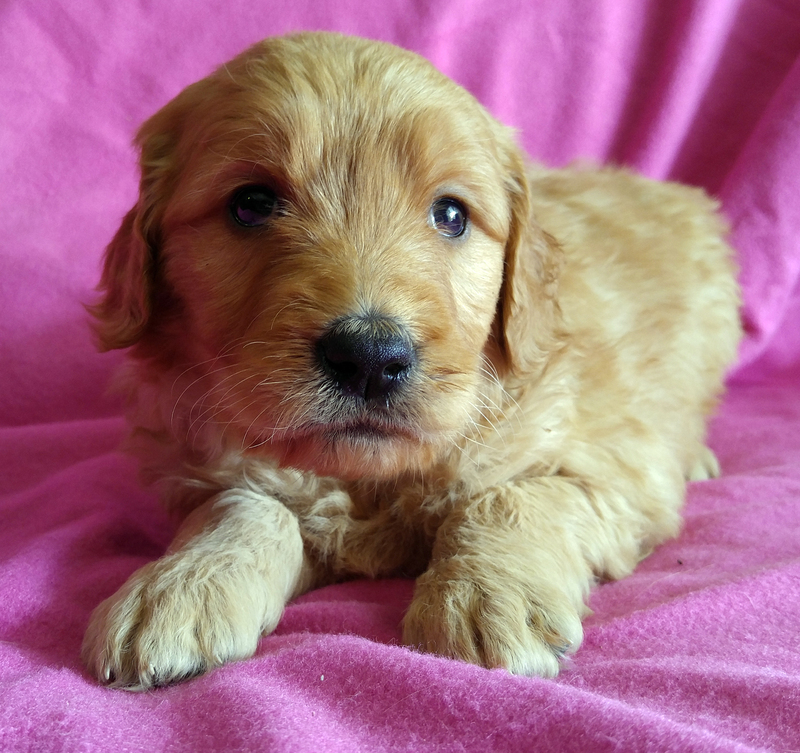 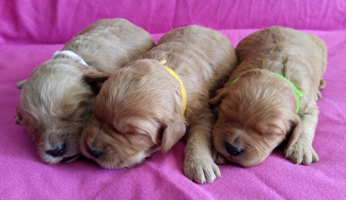 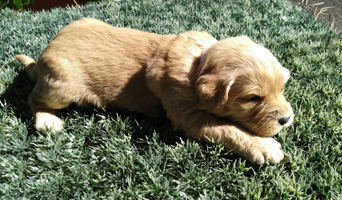 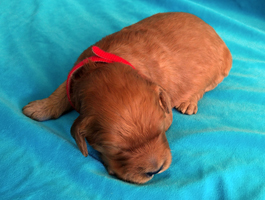 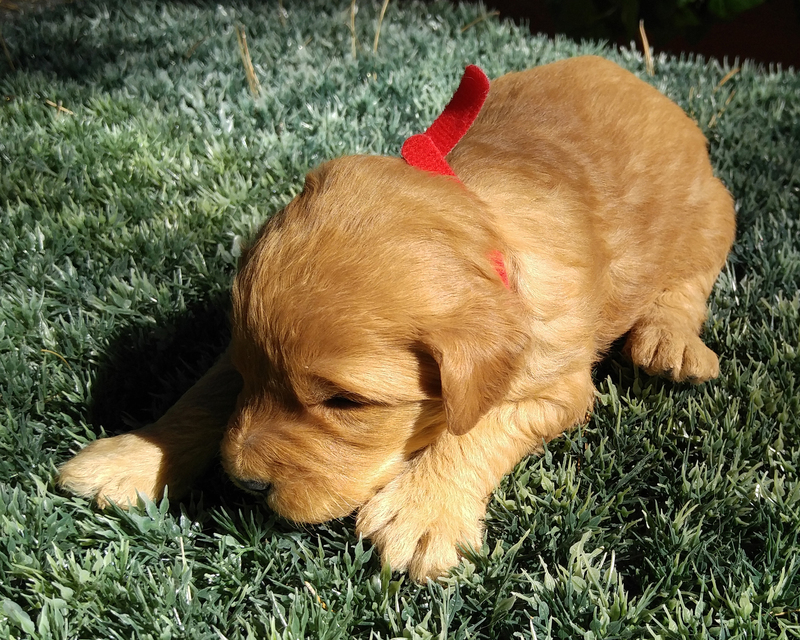 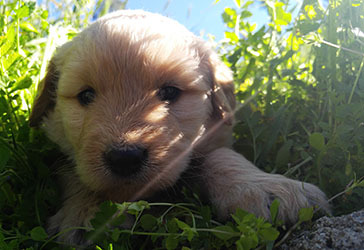 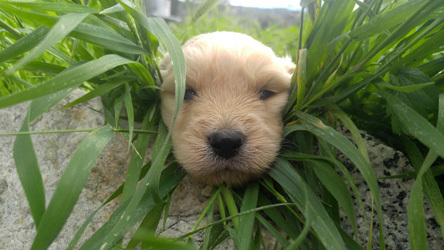 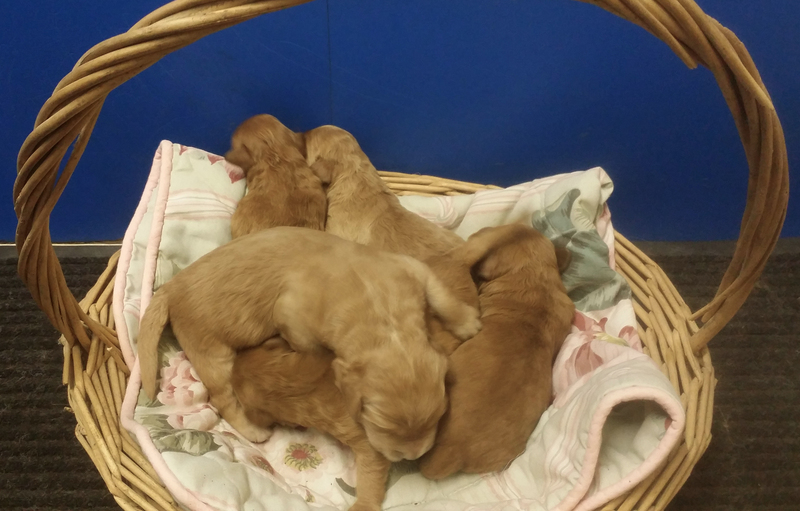 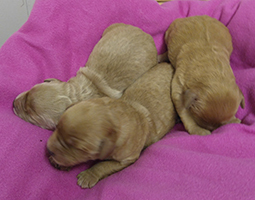 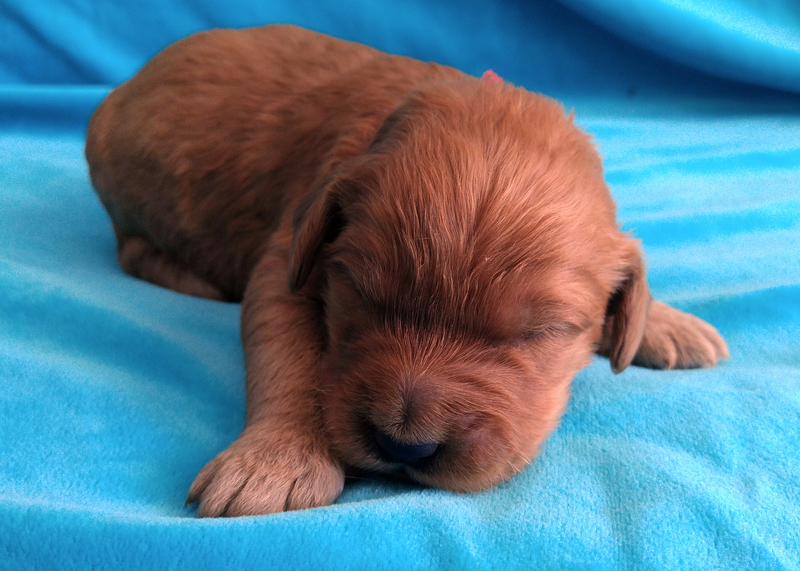 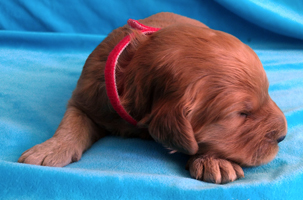 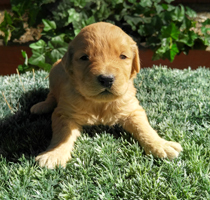 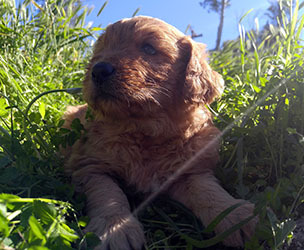 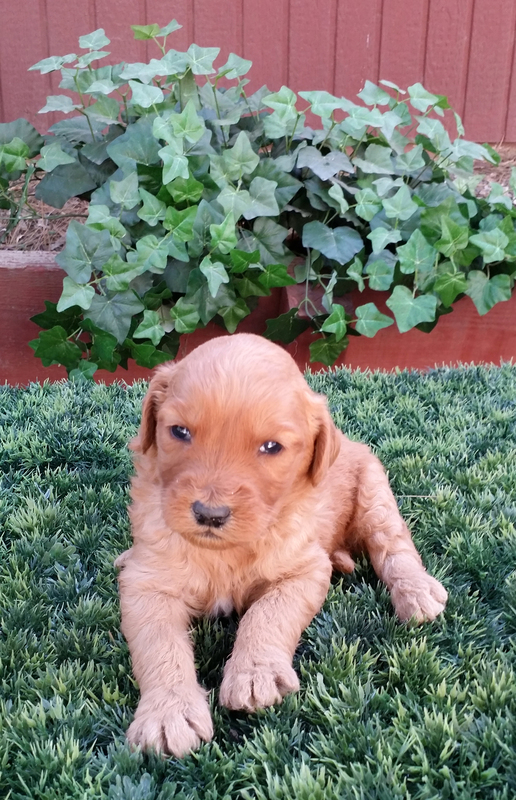 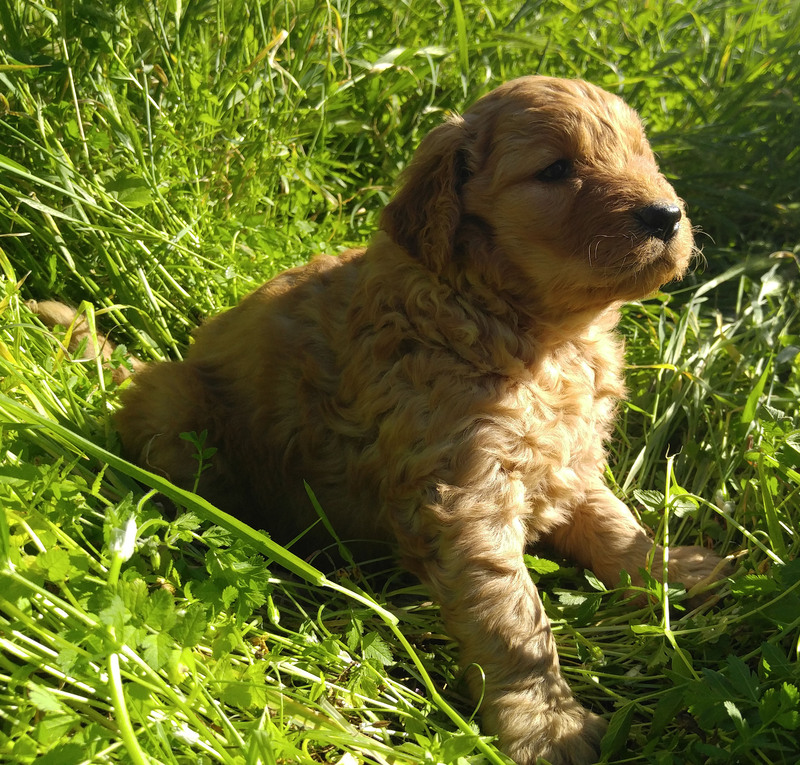 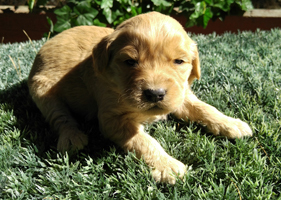 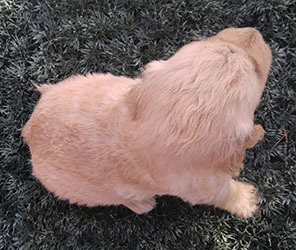 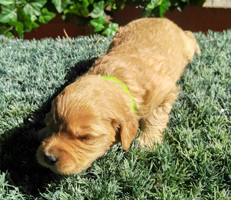 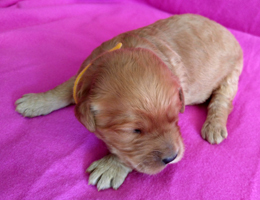 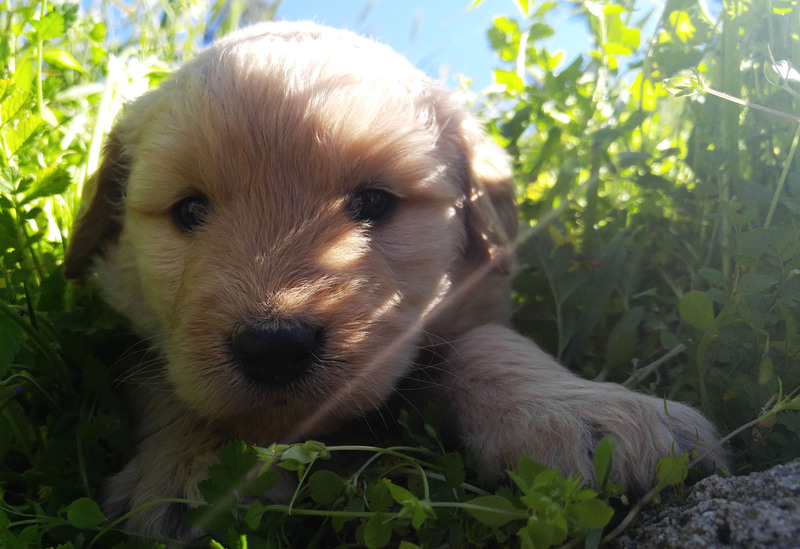 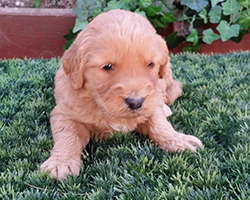 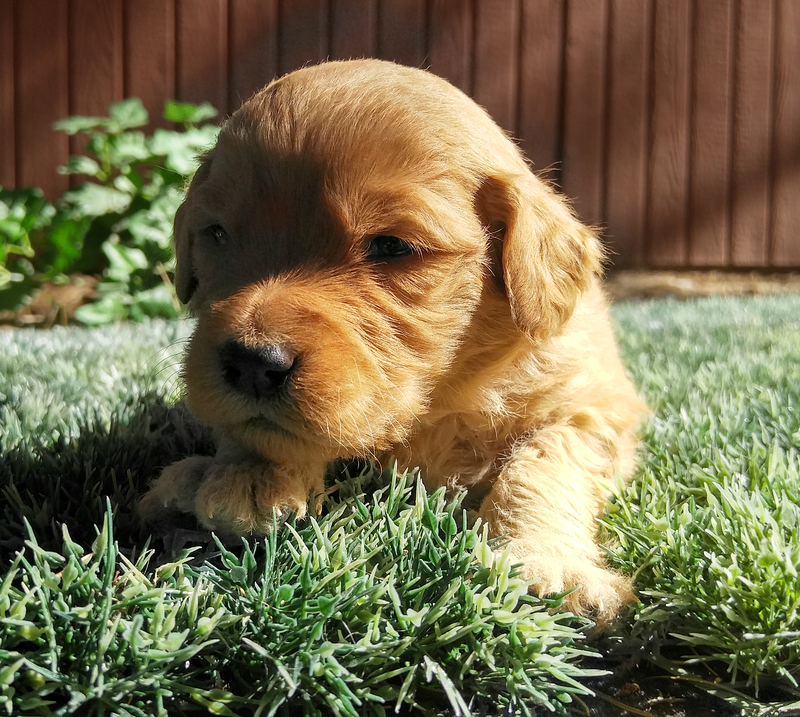 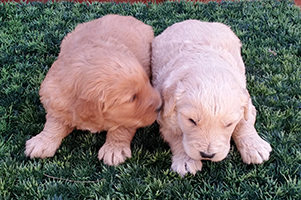 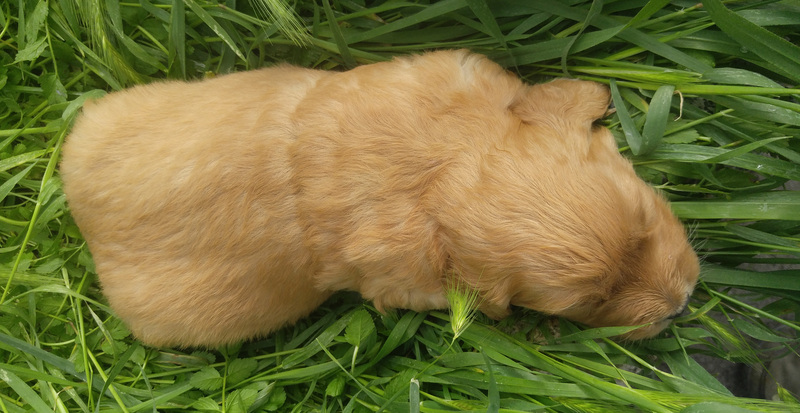 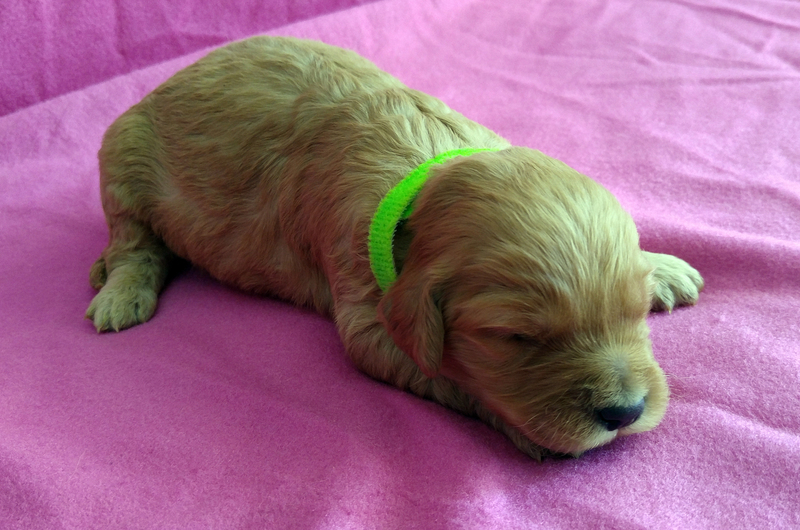 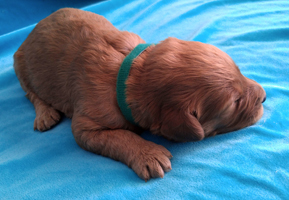 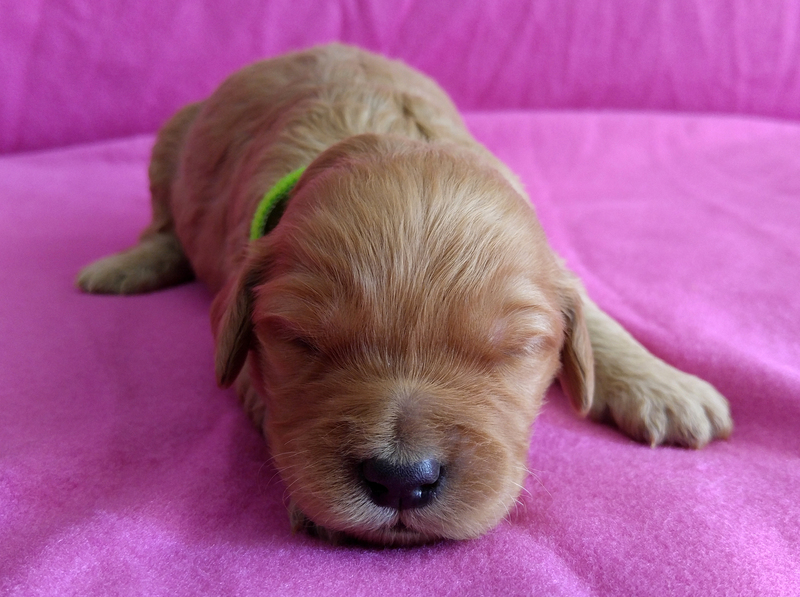 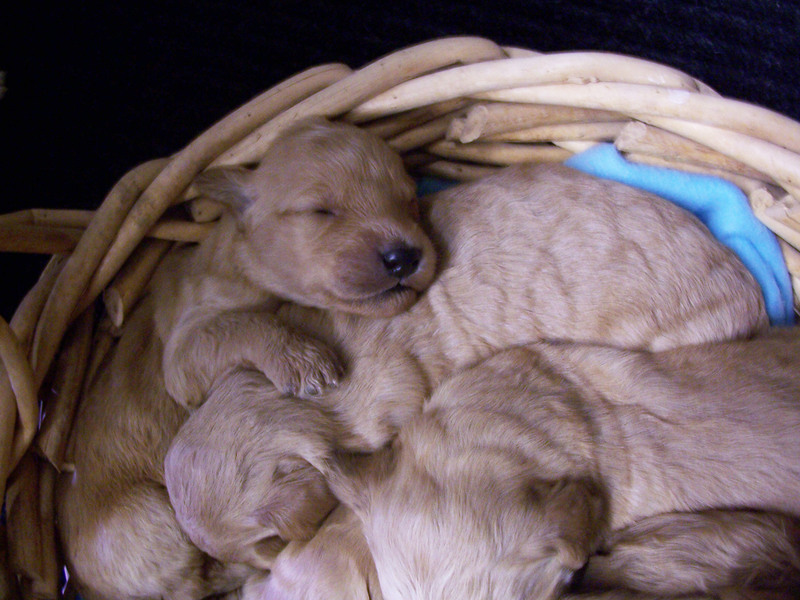 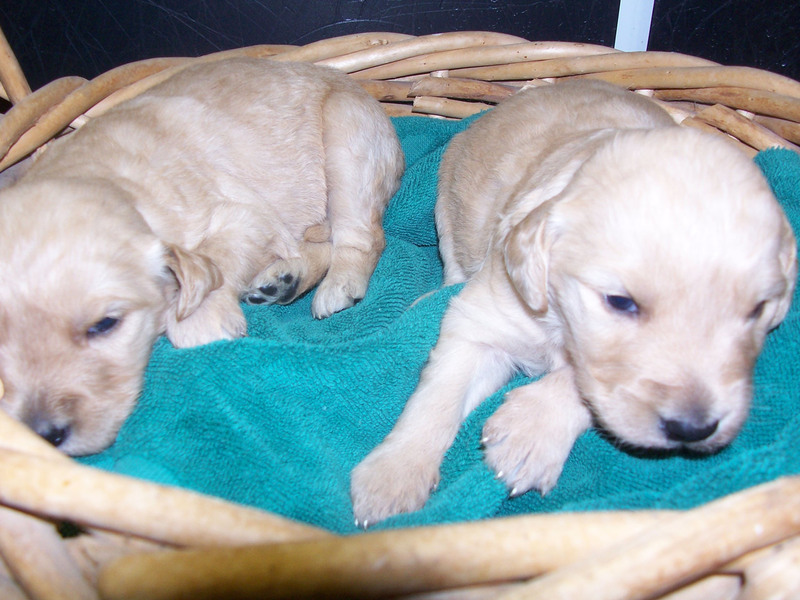 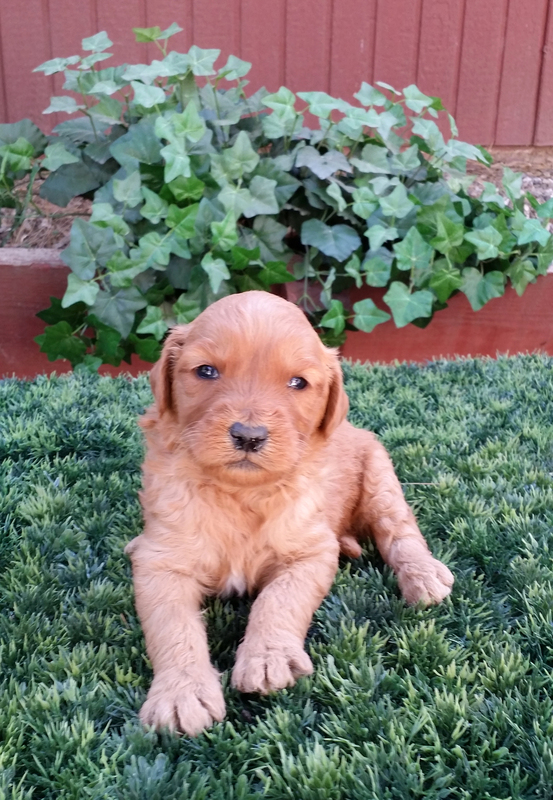 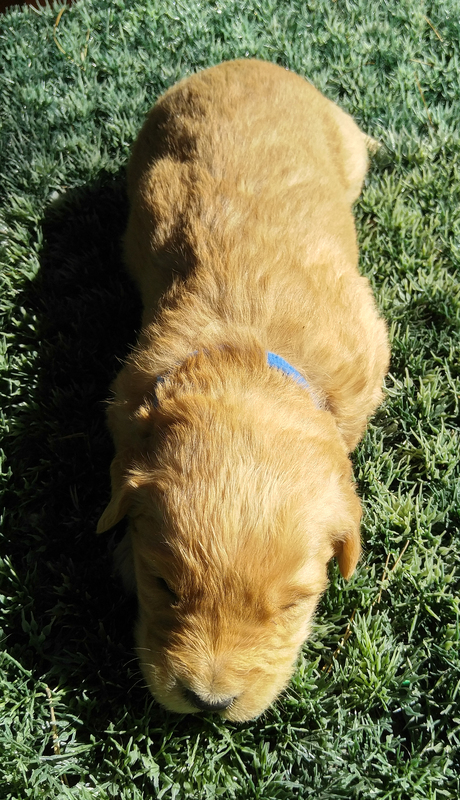 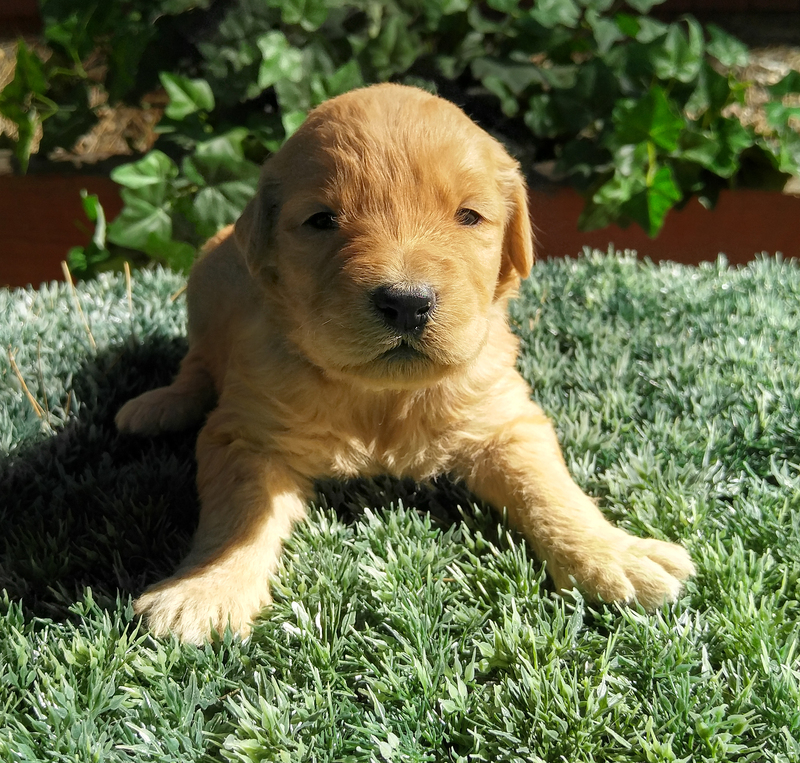 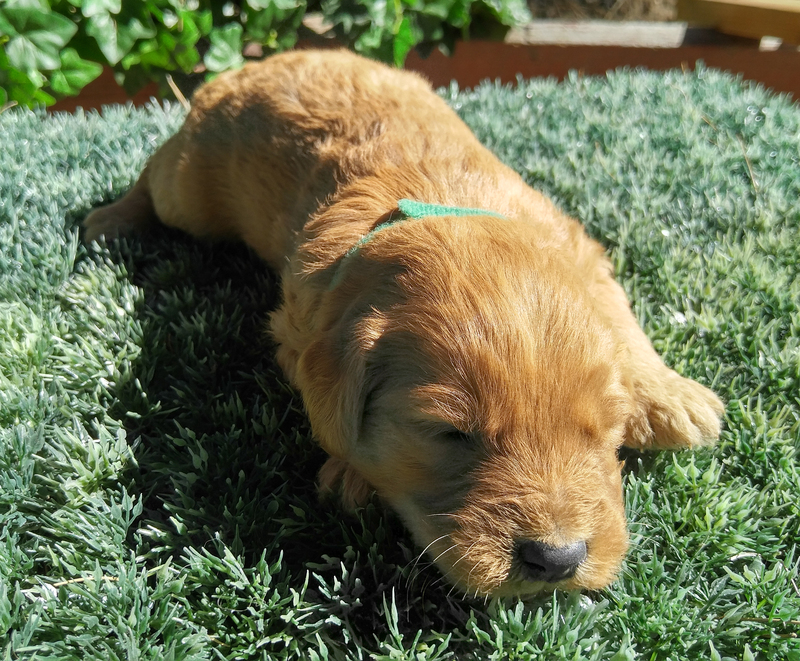 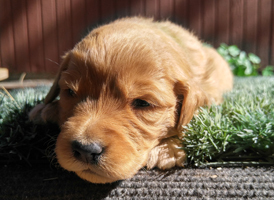 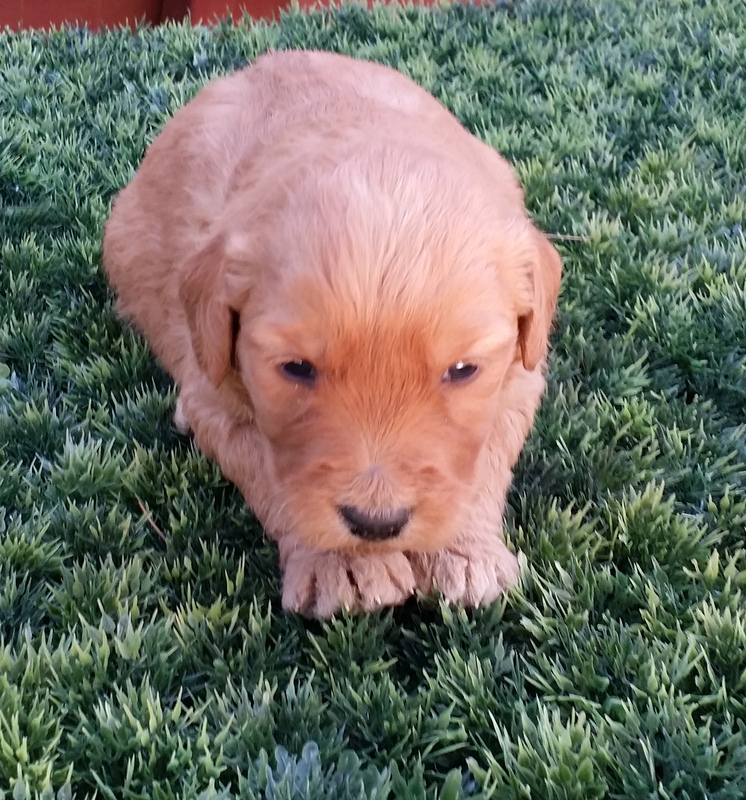 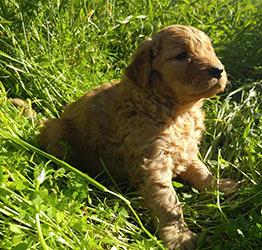 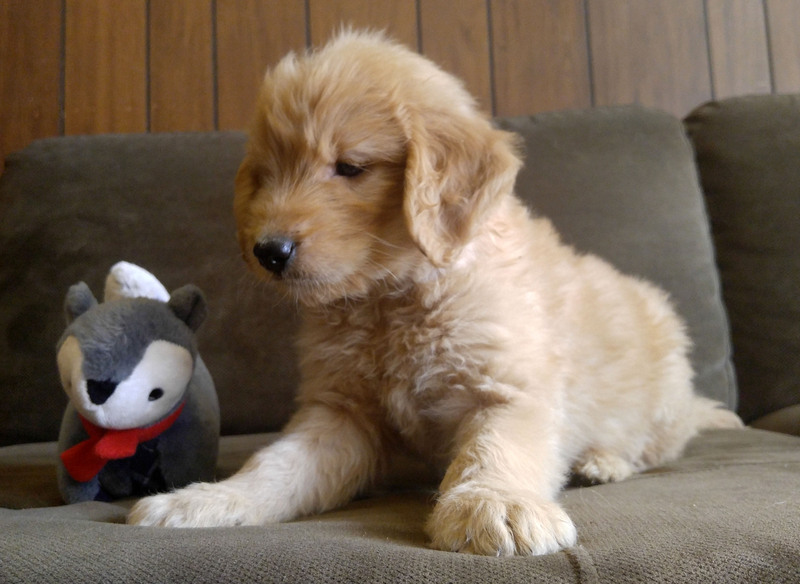 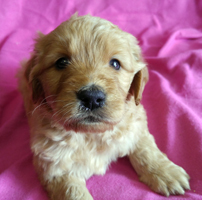 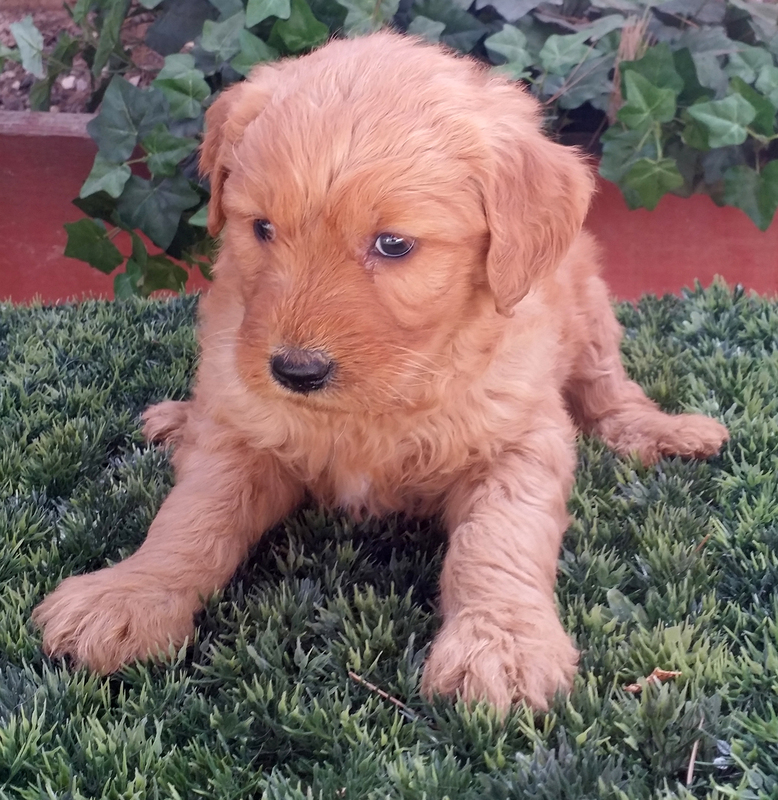 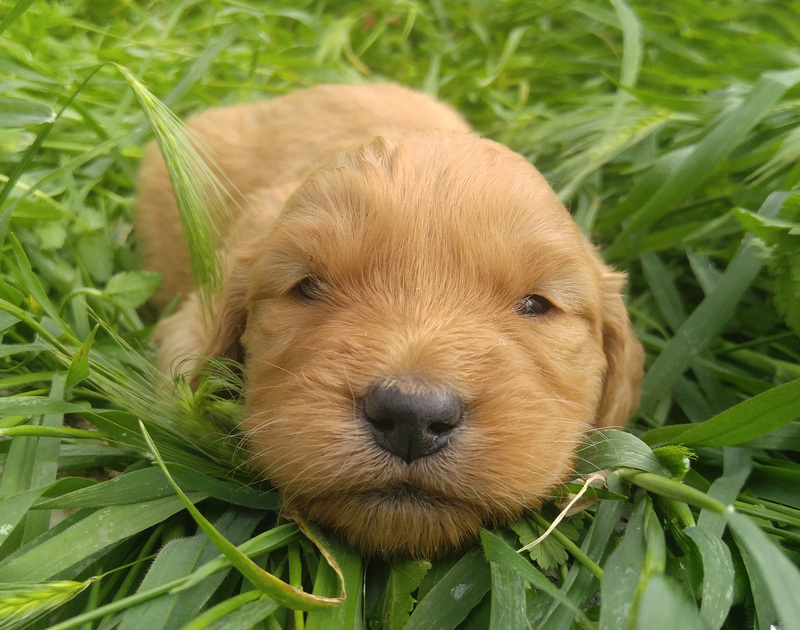 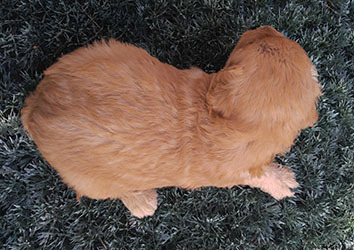 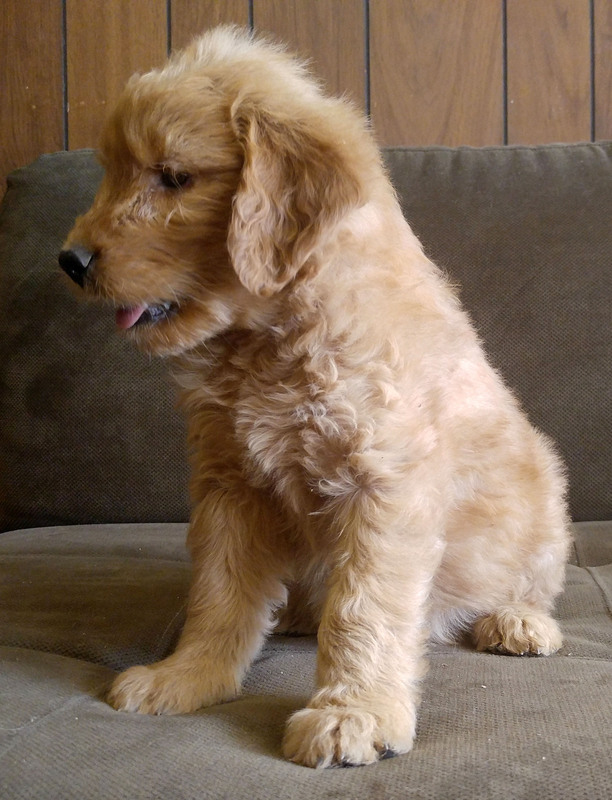 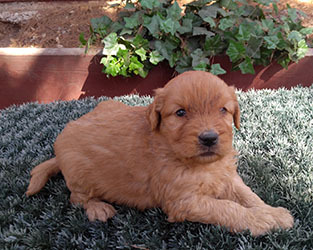 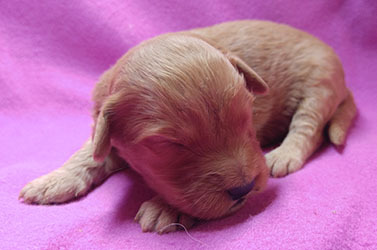 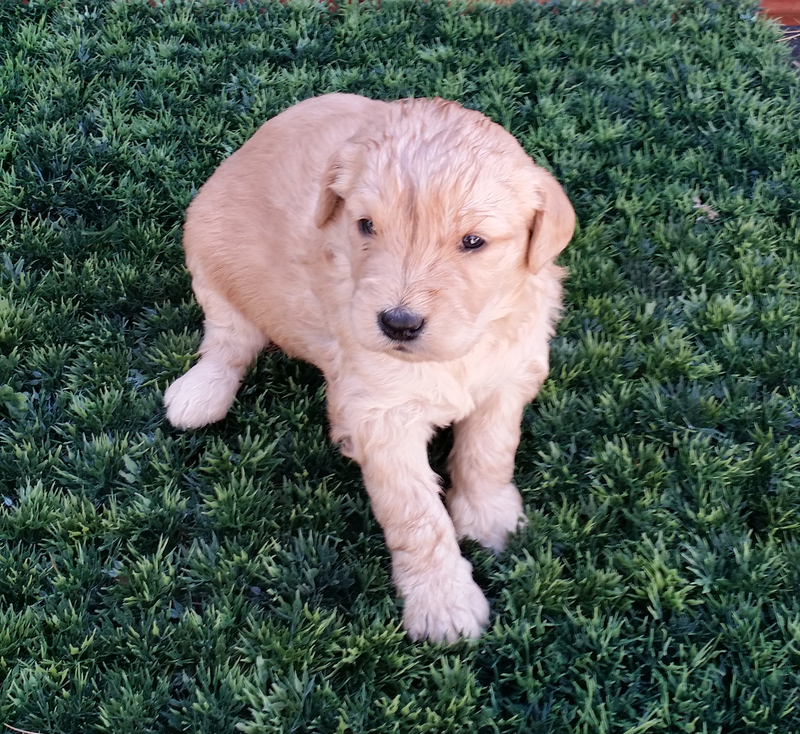 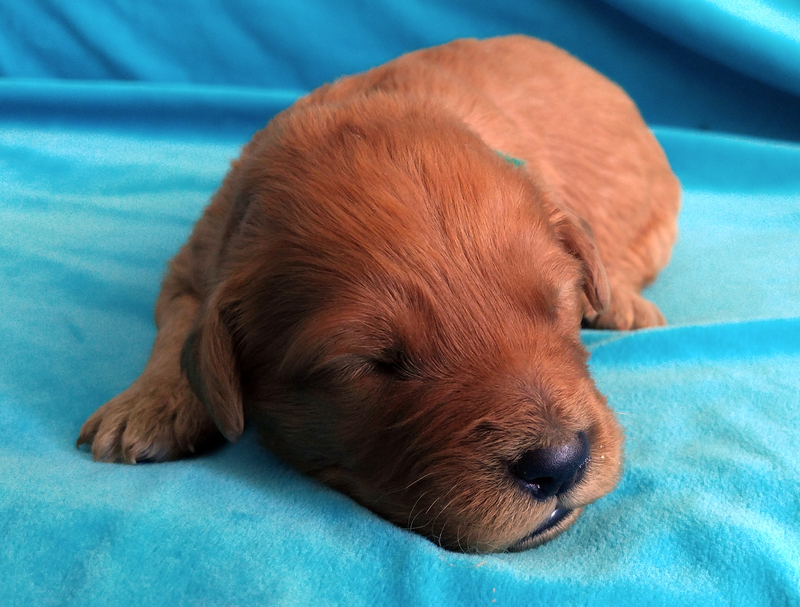 She is a medium sized Golden Retriever and reddish-gold in color. 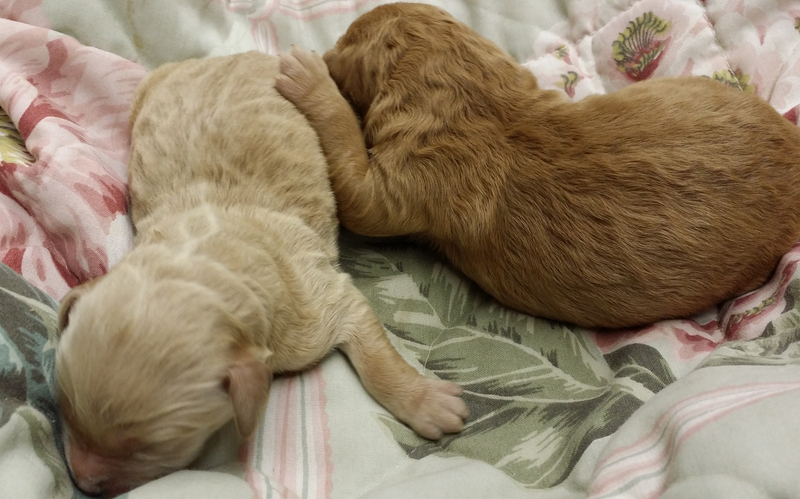 from Nova and Buck born 1/29/17! from Nova and Buck born 8/12/16! I forgot to change background on this little boy, but he looks great in pink! 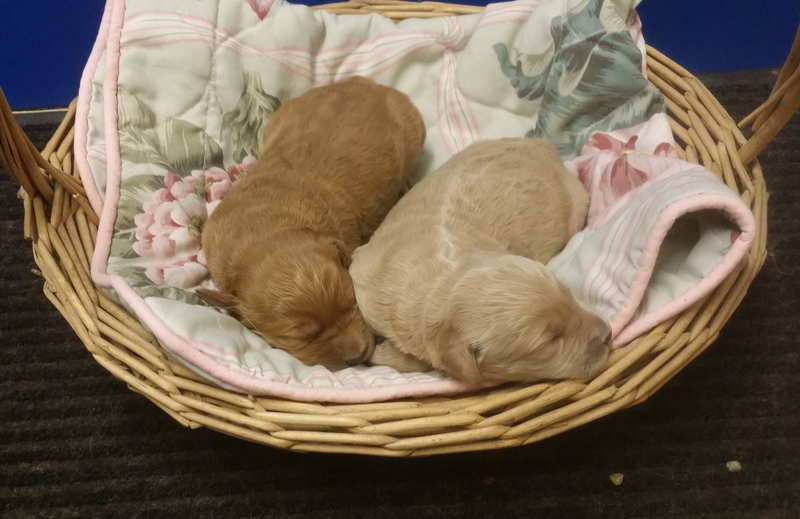 from Nova and Buck born 1/29/16! This week we had our first bath! 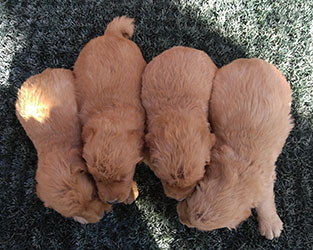 We are eating supplemental food and loving it. 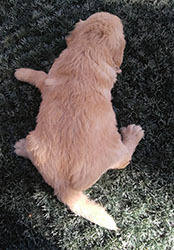 Most of all we like to run around like crazy so Devon can't take pictures! 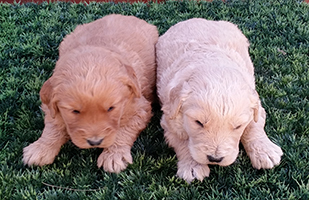 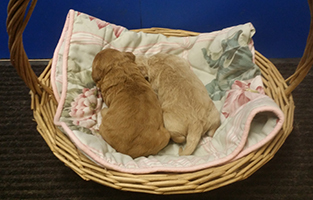 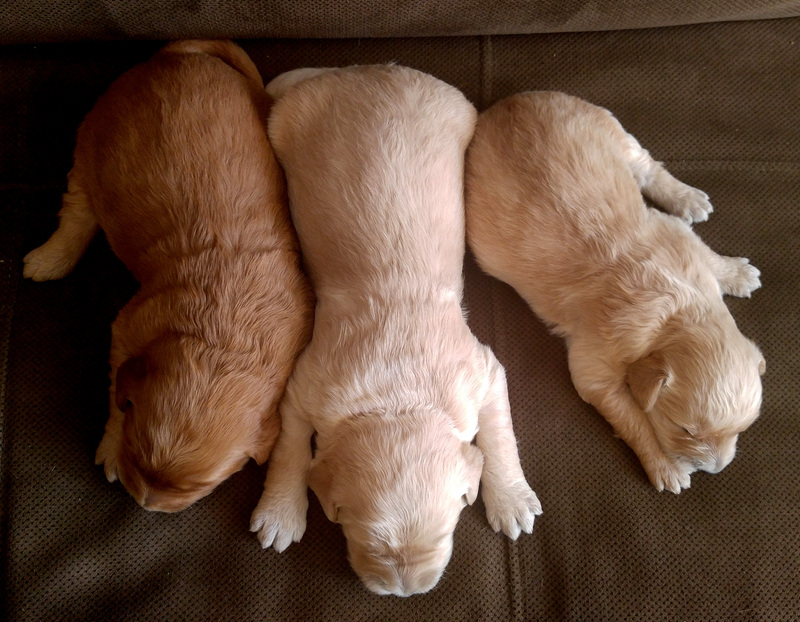 THE GIRLS - 6 Weeks old! THE BOYS - 6 weeks old! 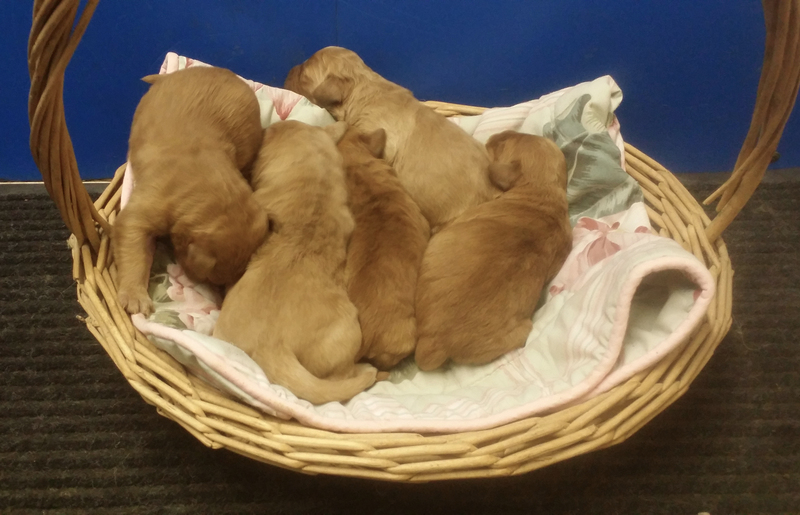 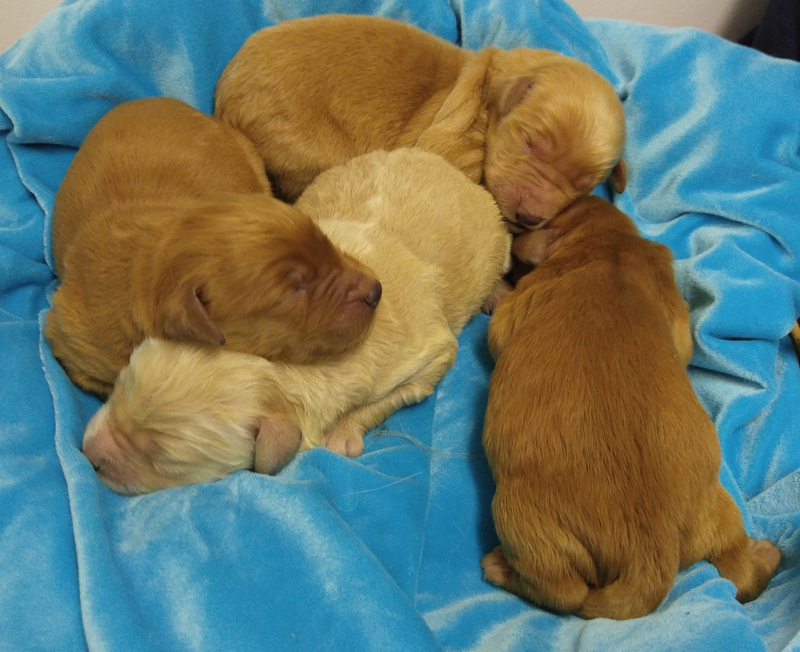 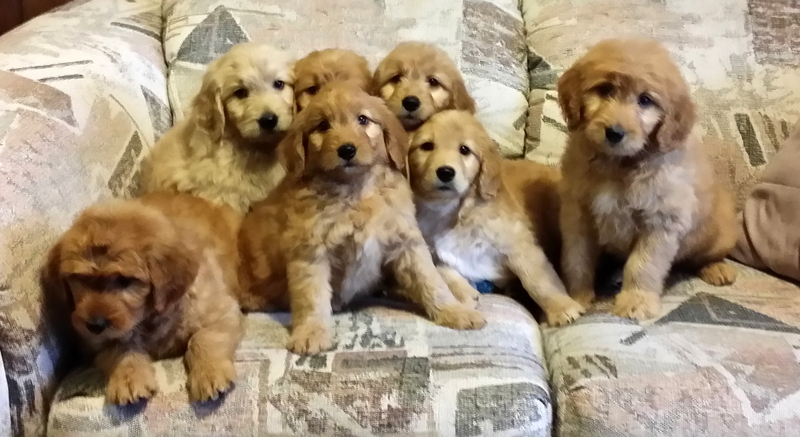 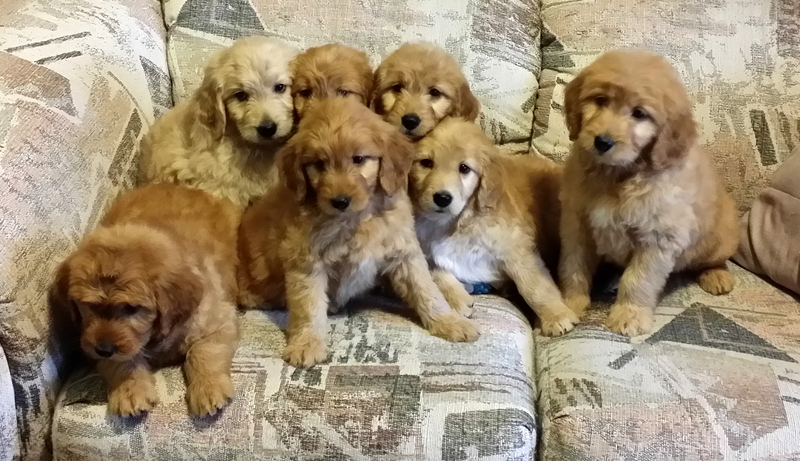 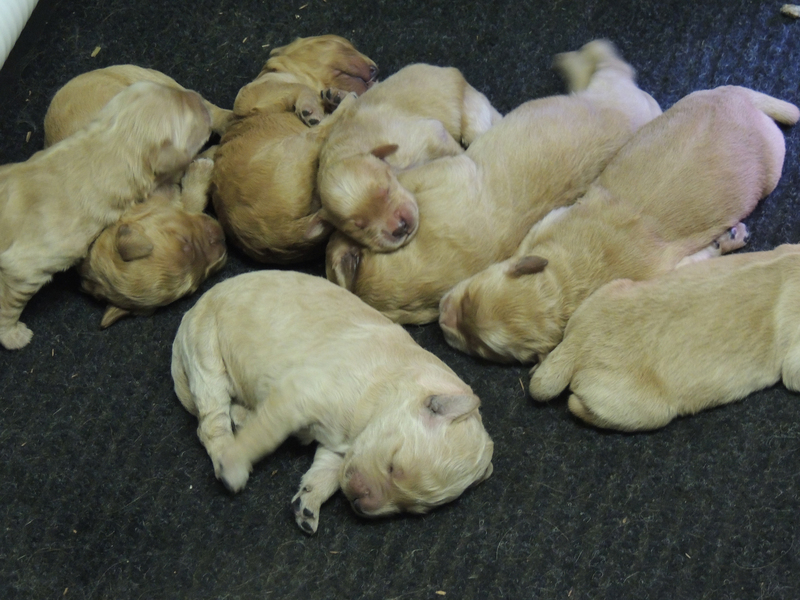 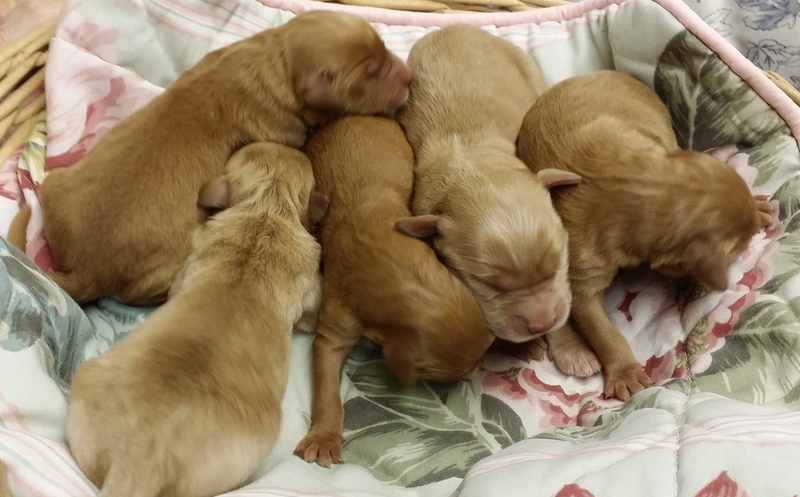 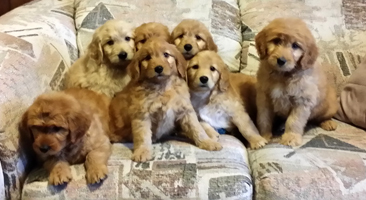 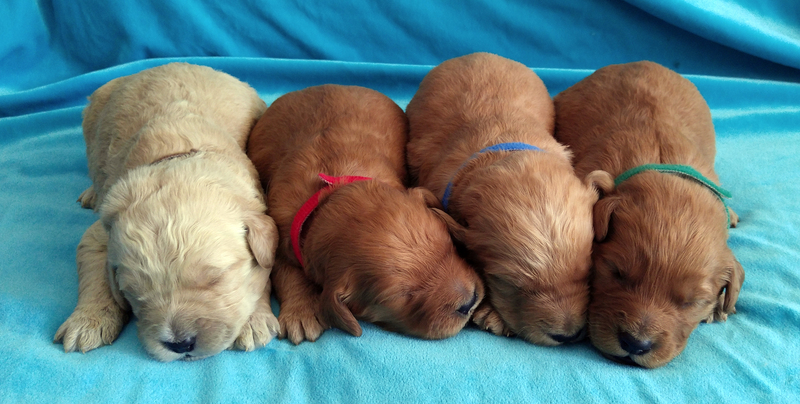 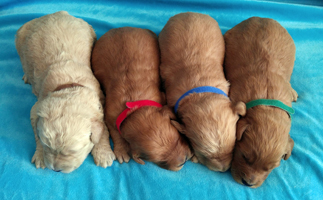 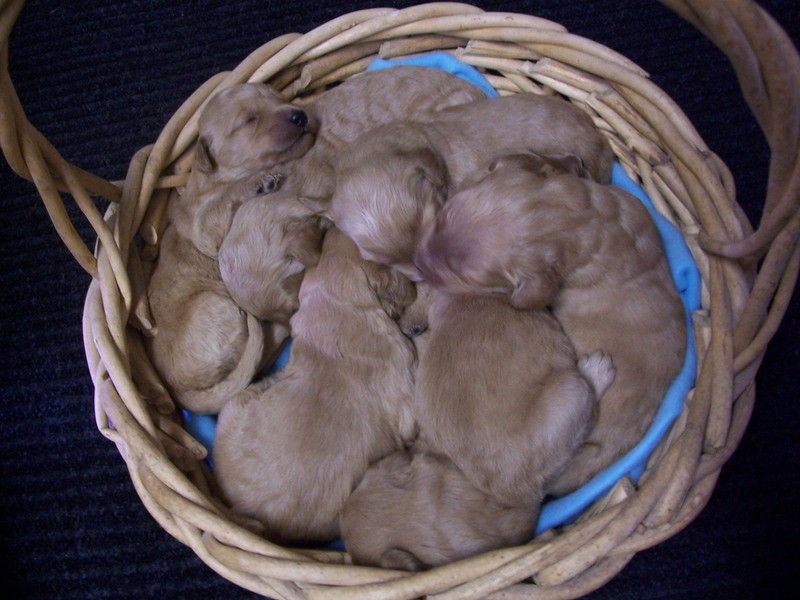 HERE IS SOME PAST PUPS FROM NOVA! 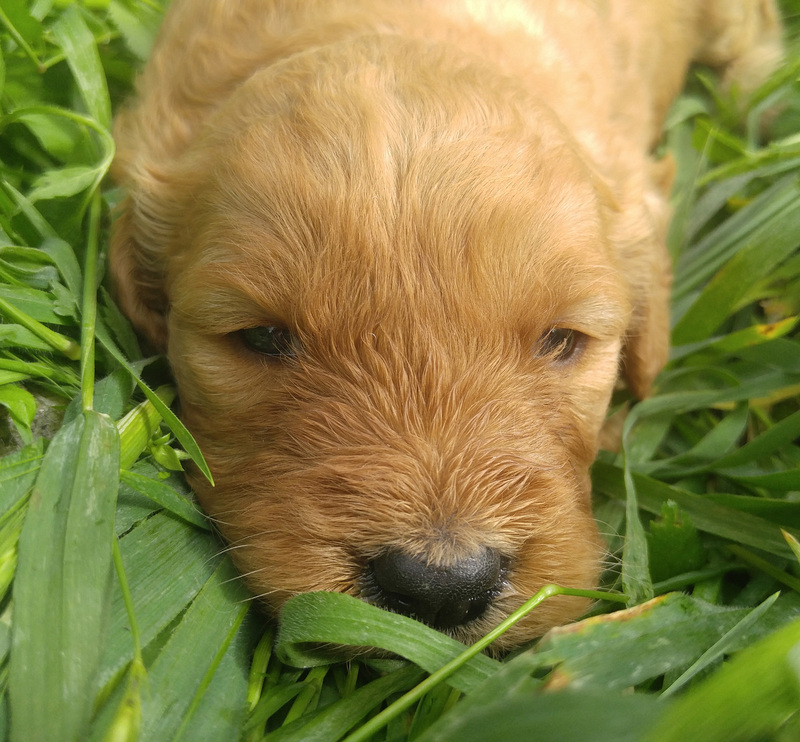 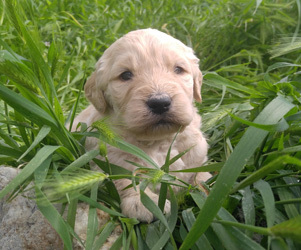 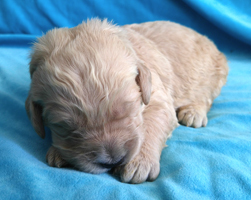 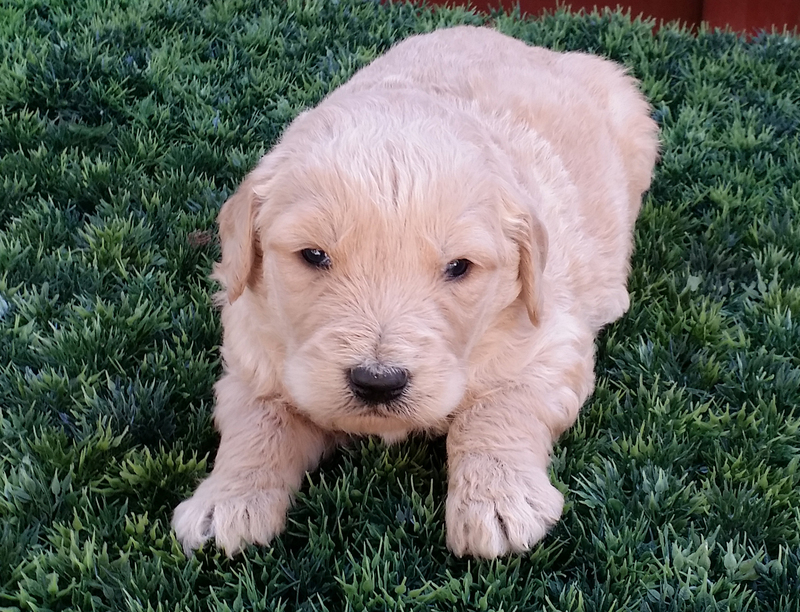 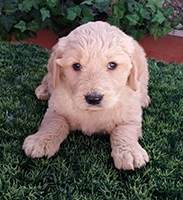 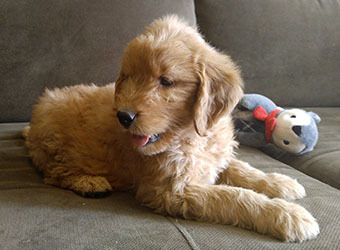 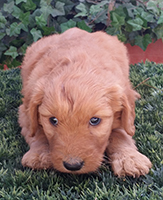 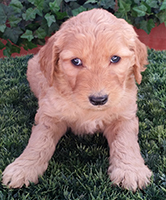 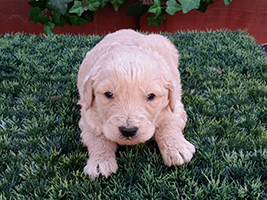 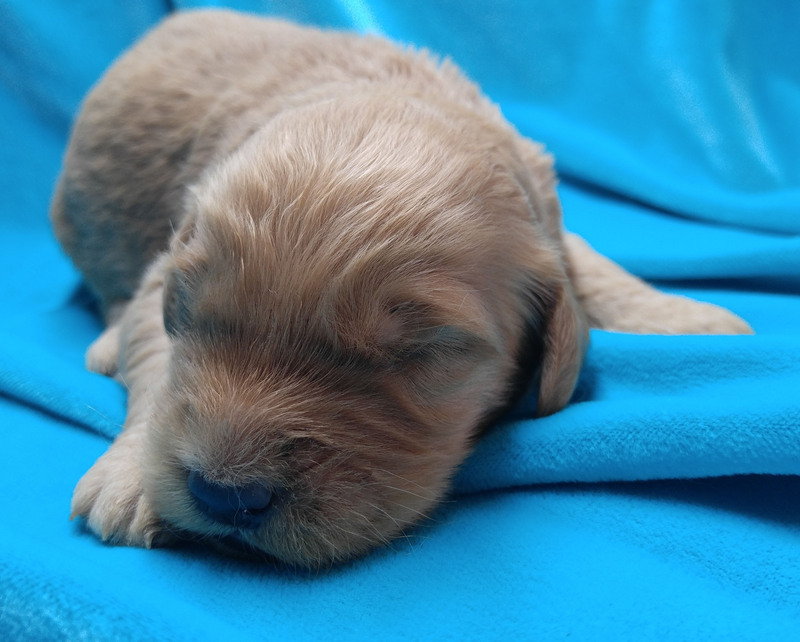 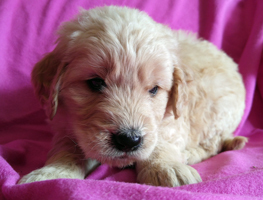 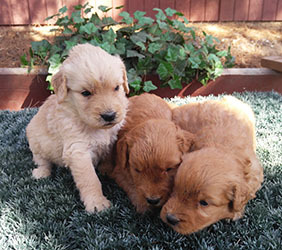 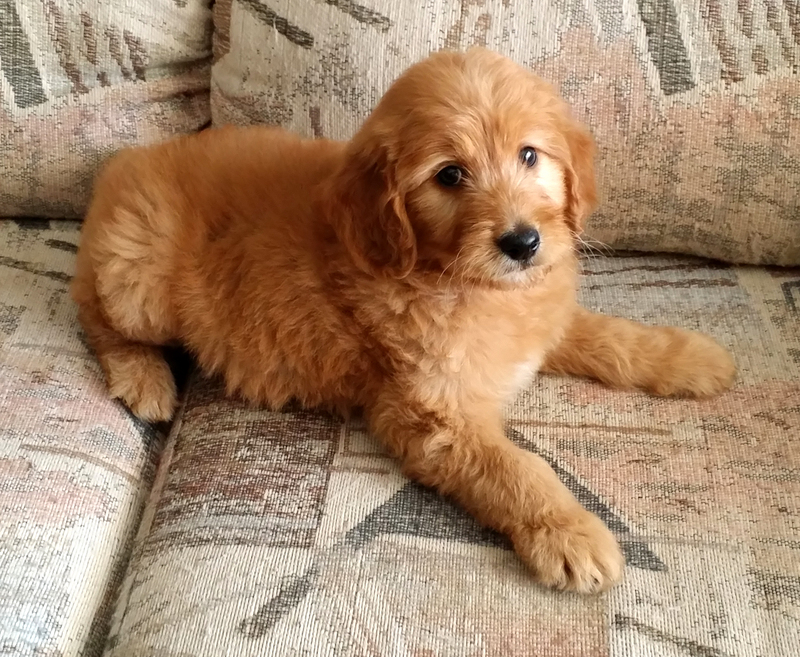 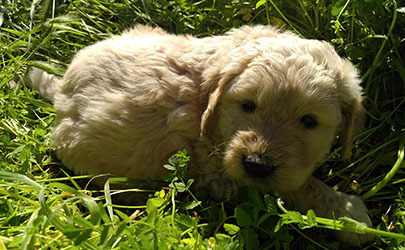 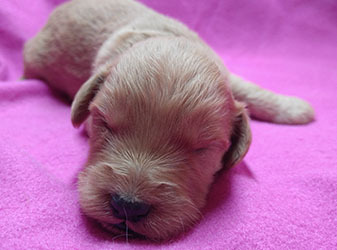 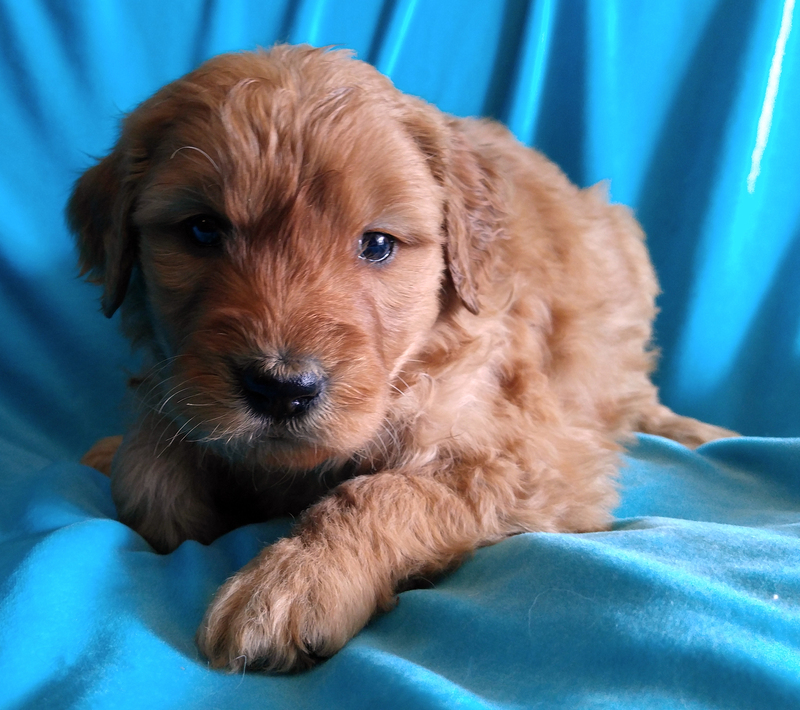 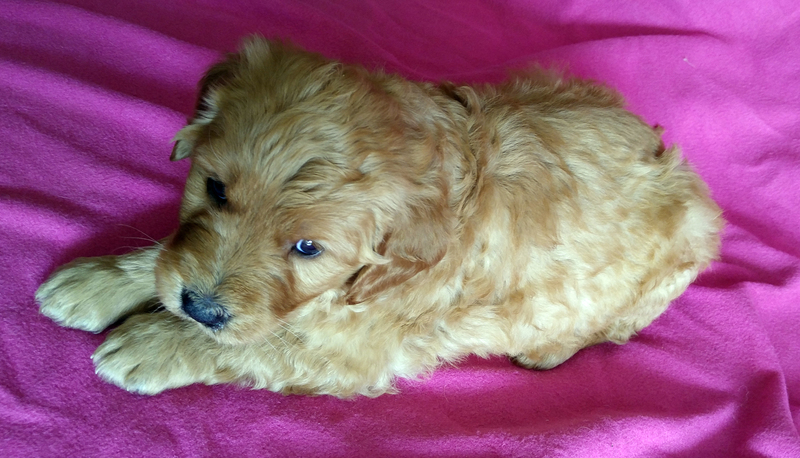 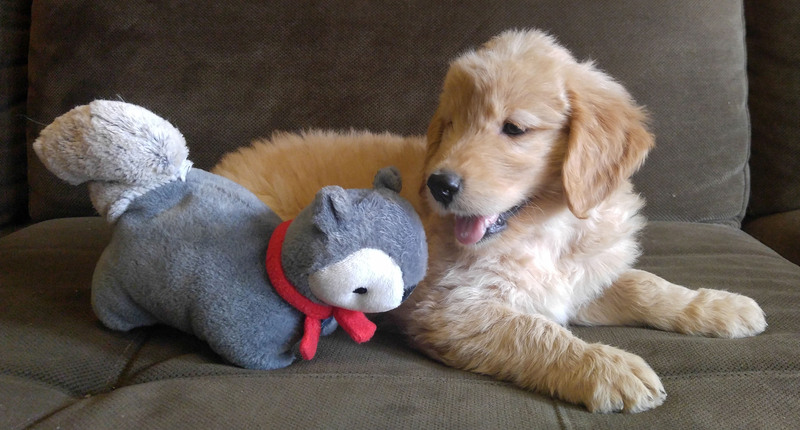 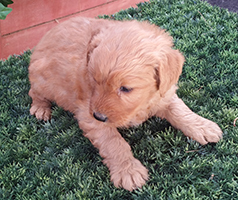 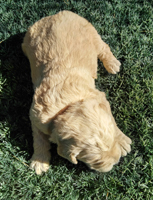 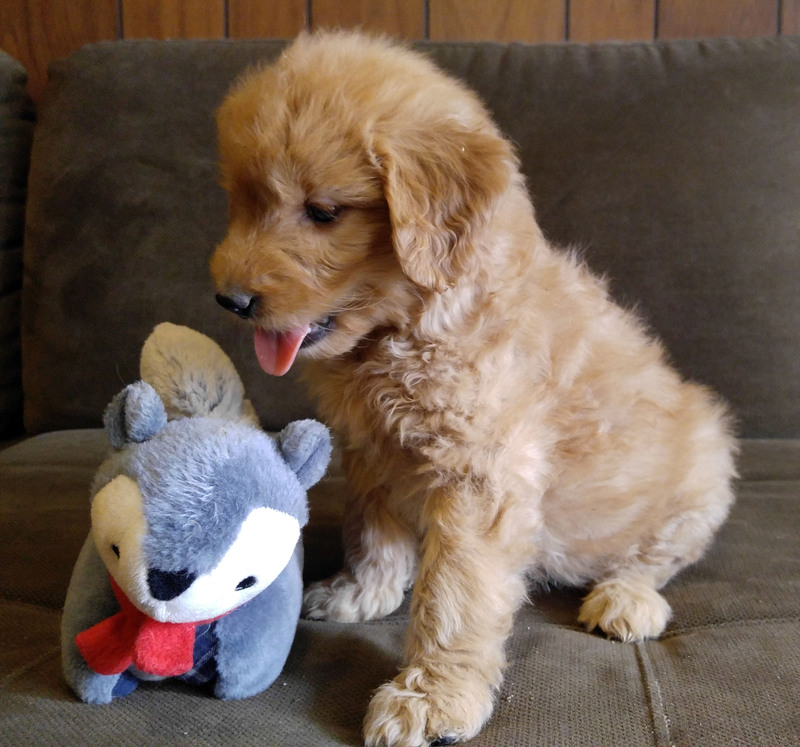 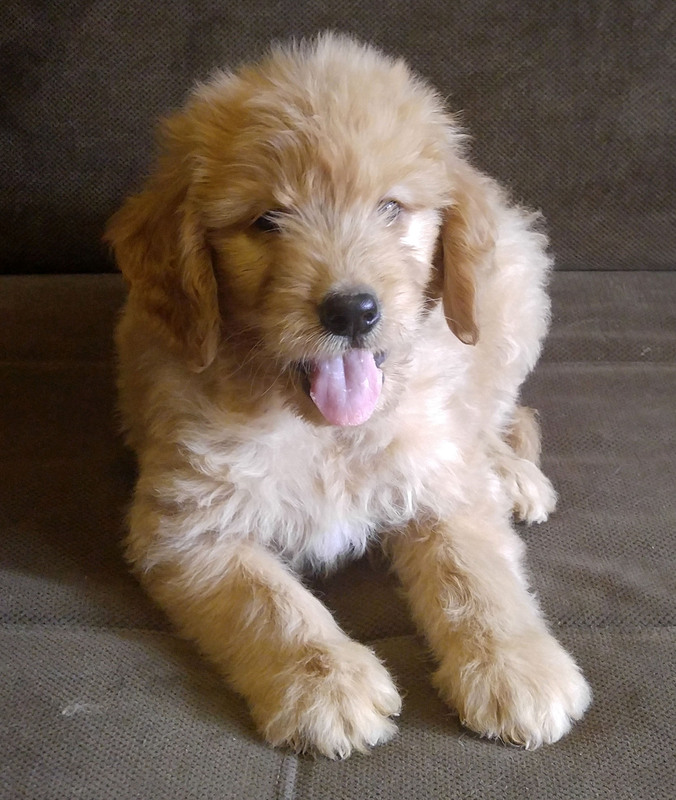 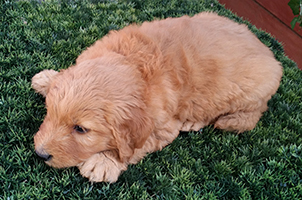 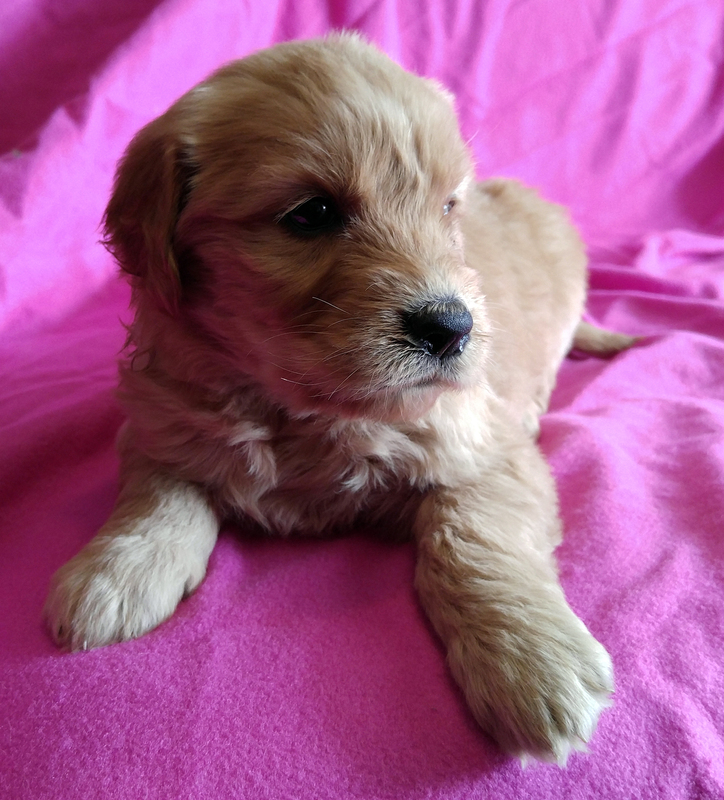 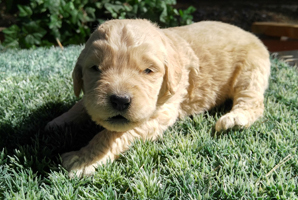 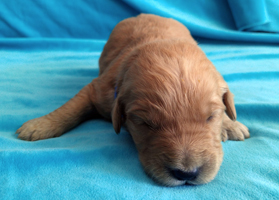 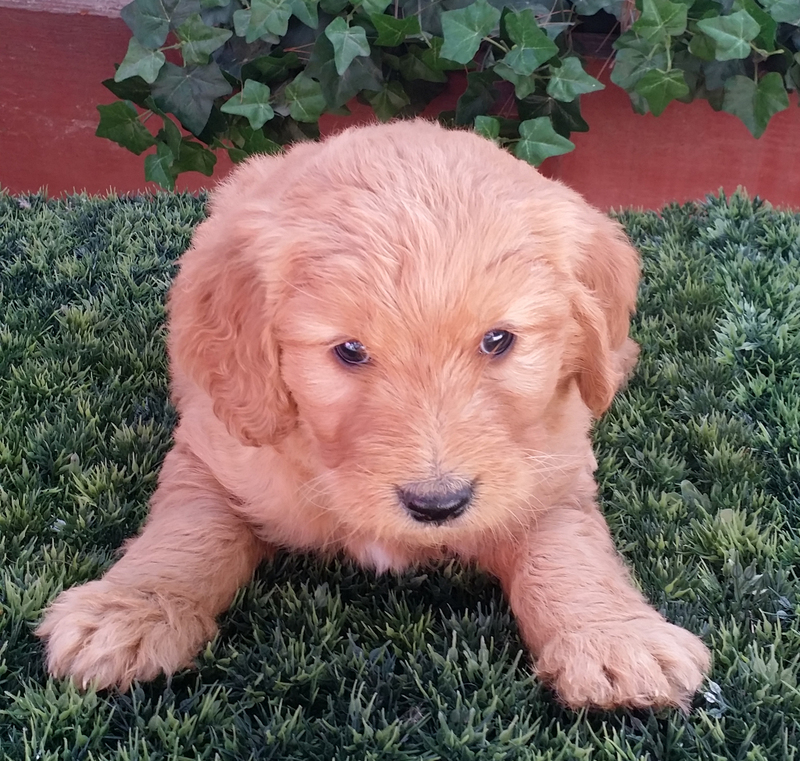 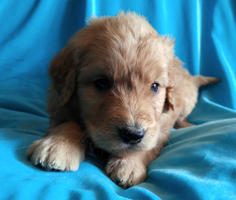 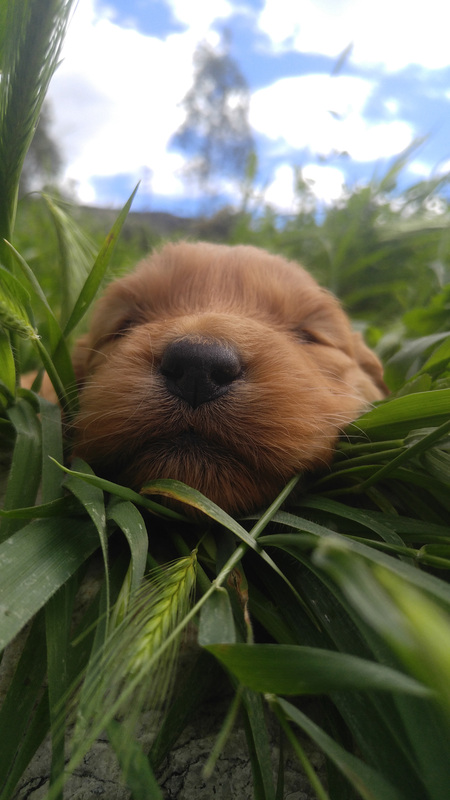 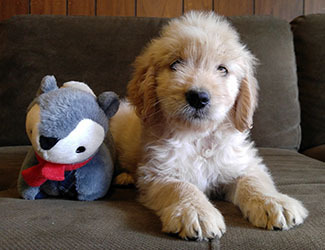 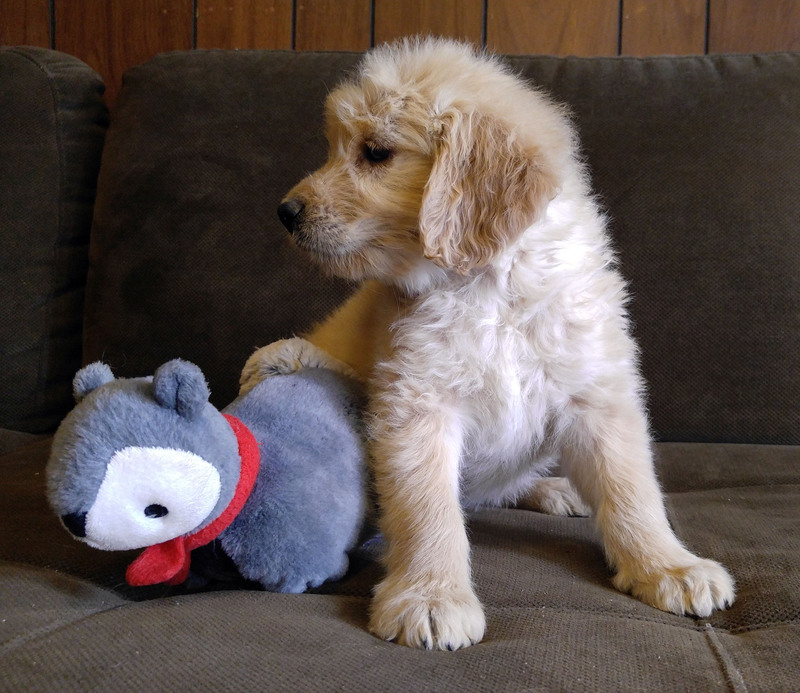 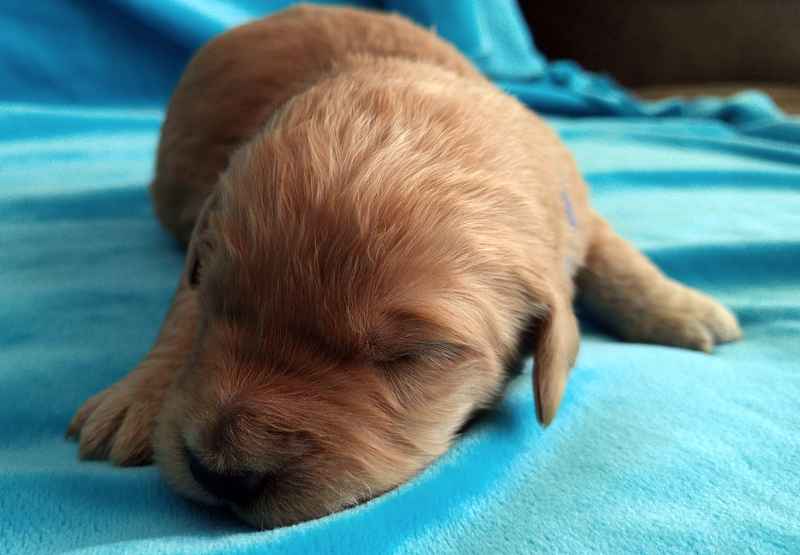 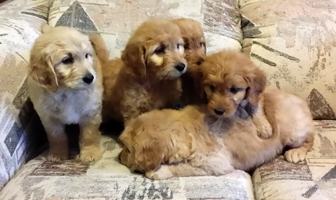 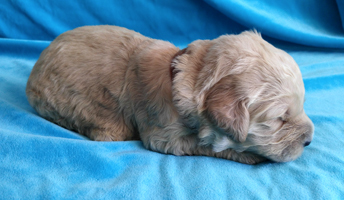 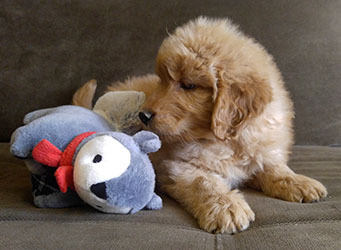 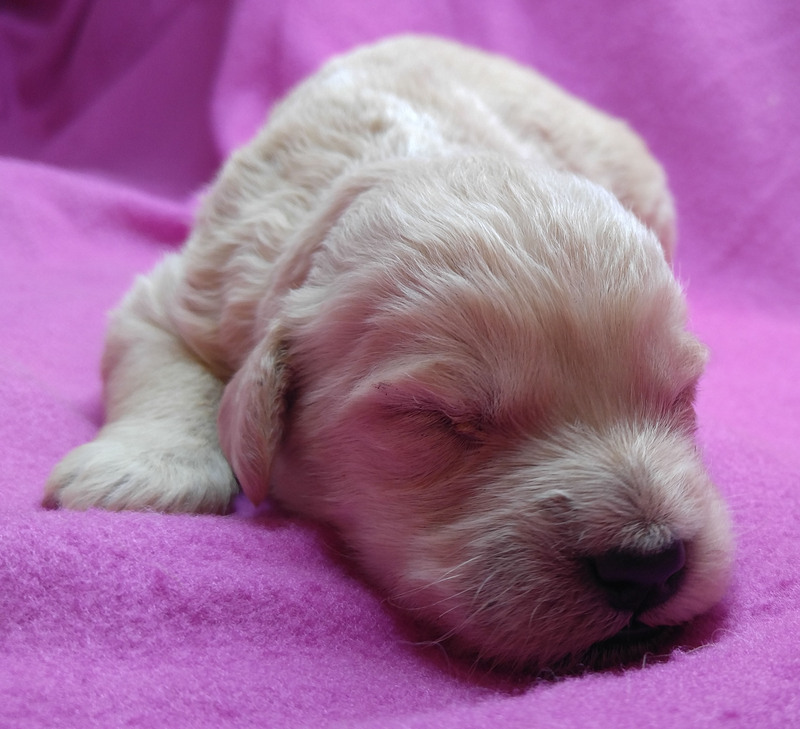 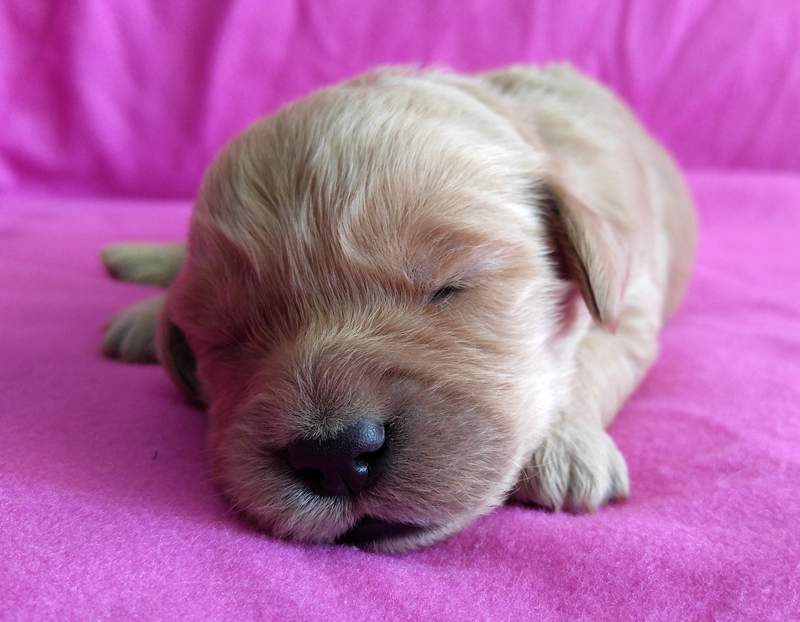 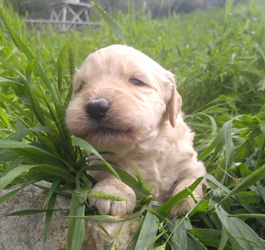 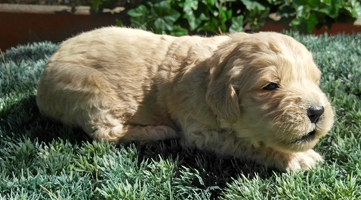 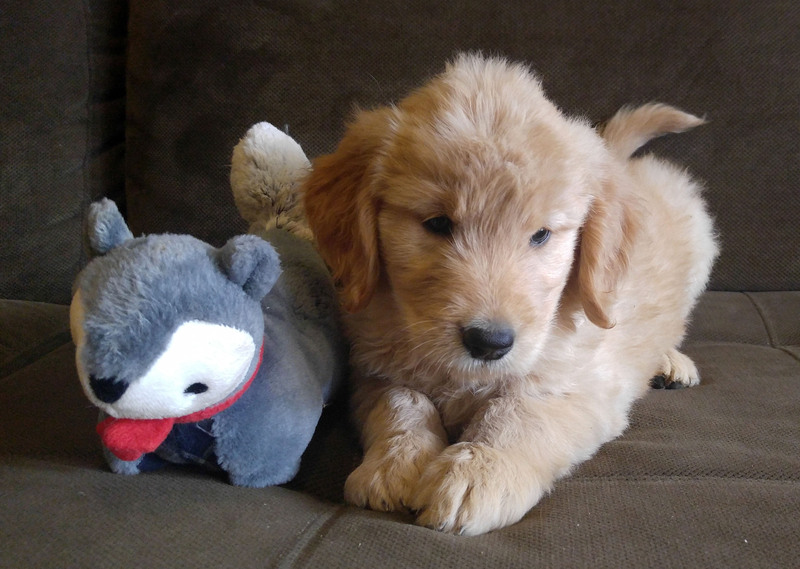 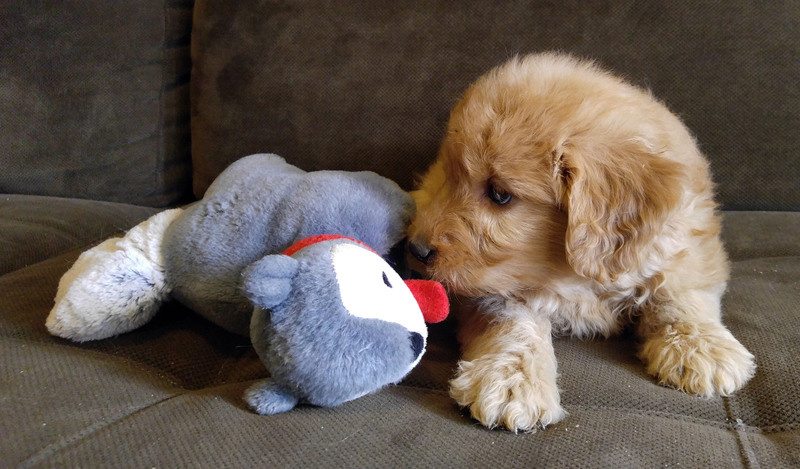 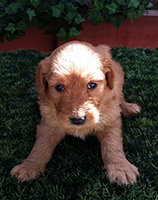 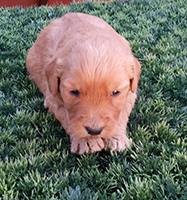 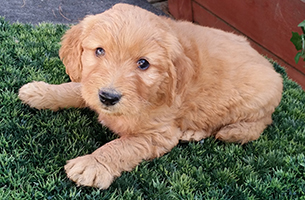 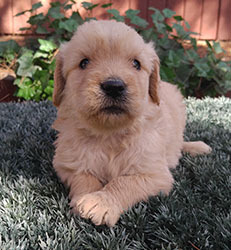 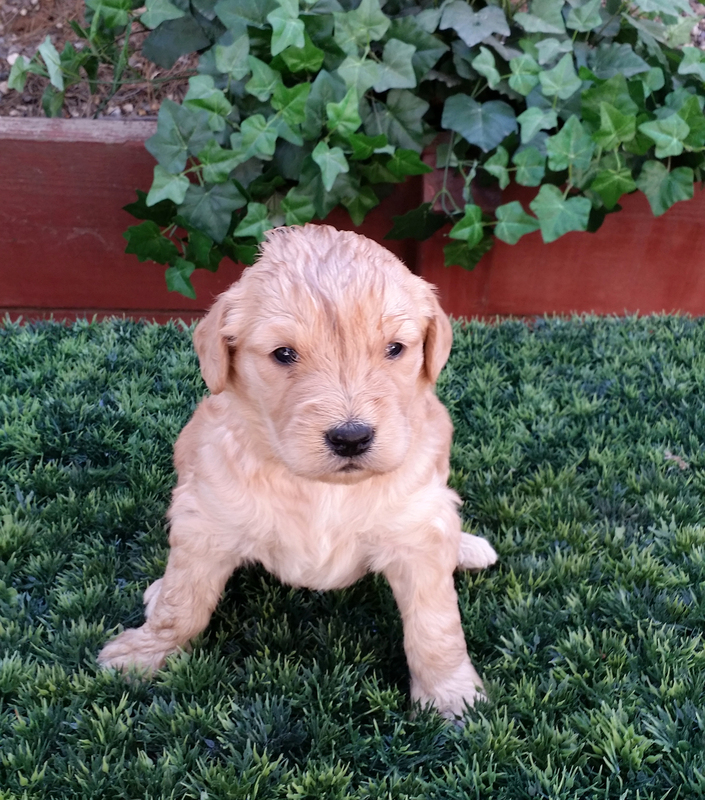 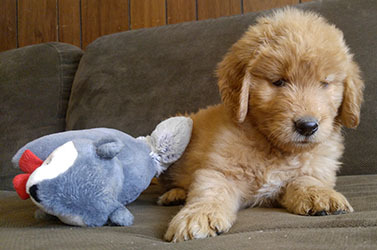 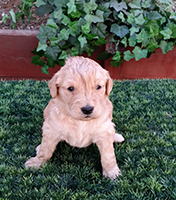 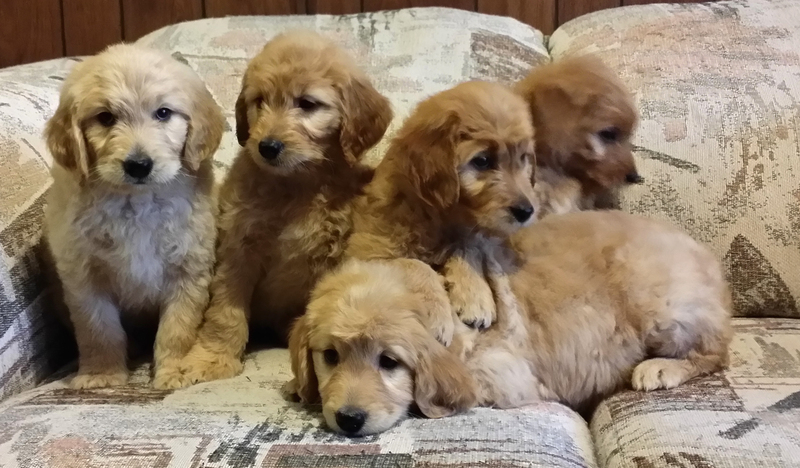 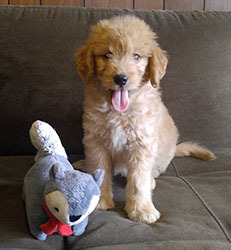 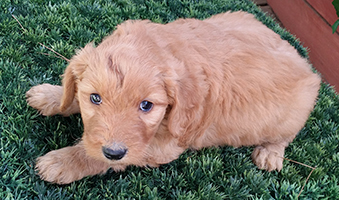 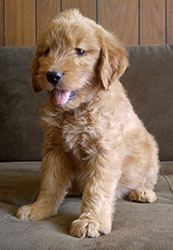 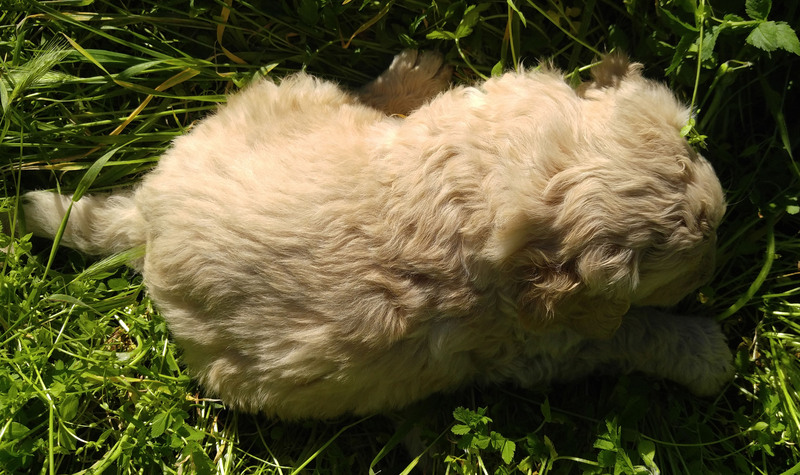 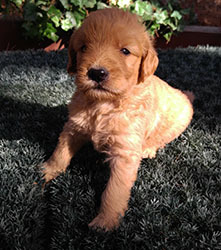 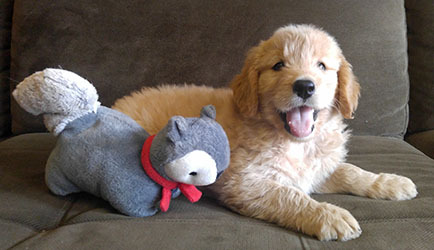 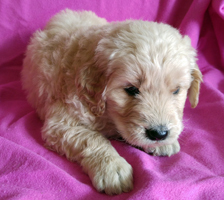 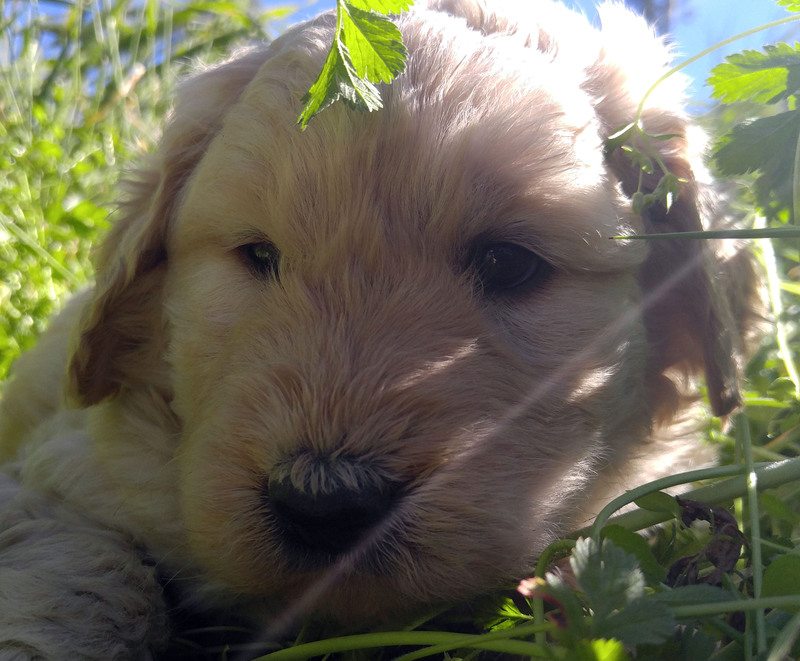 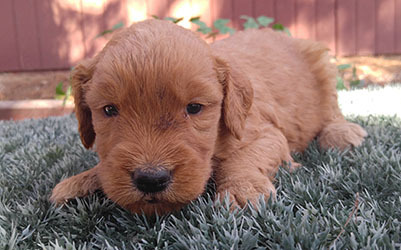 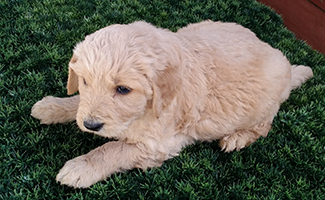 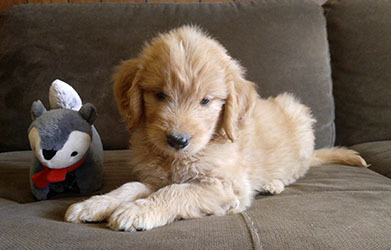 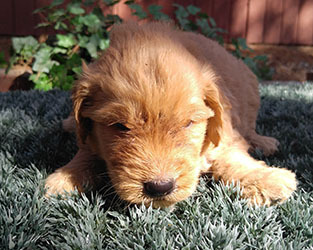 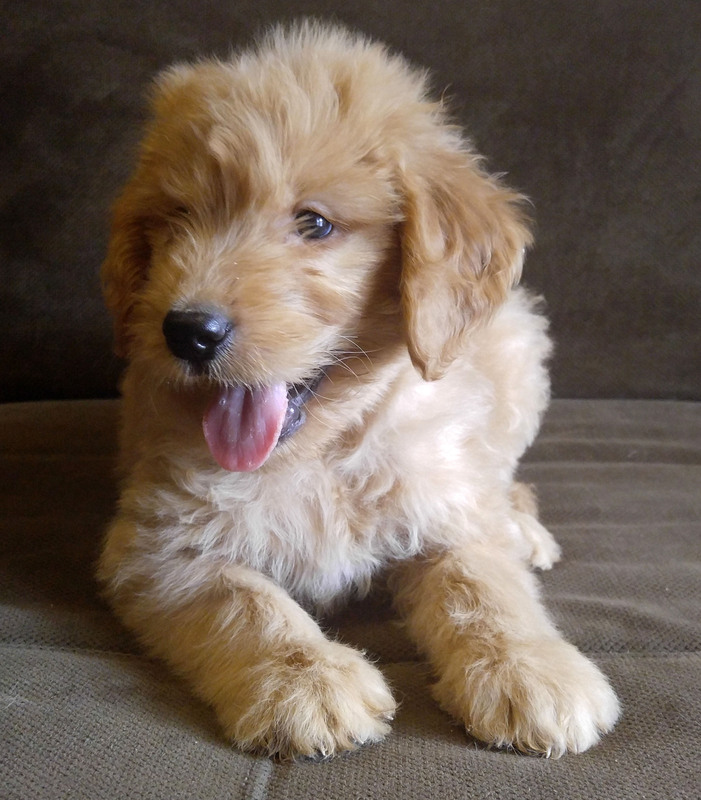 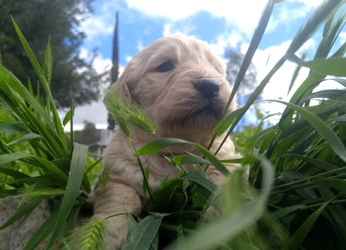 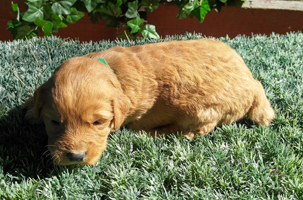 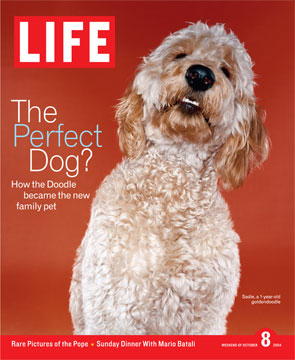 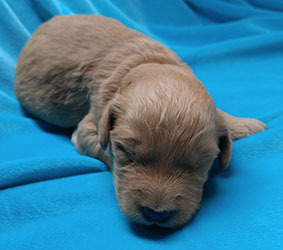 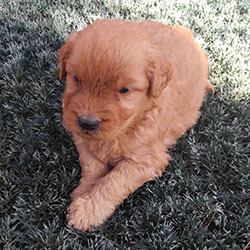 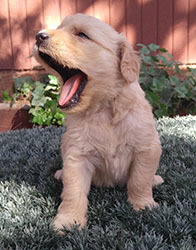 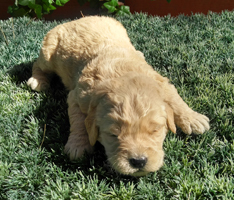 Life Magazine declares the Goldendoodle the “Perfect Dog”!